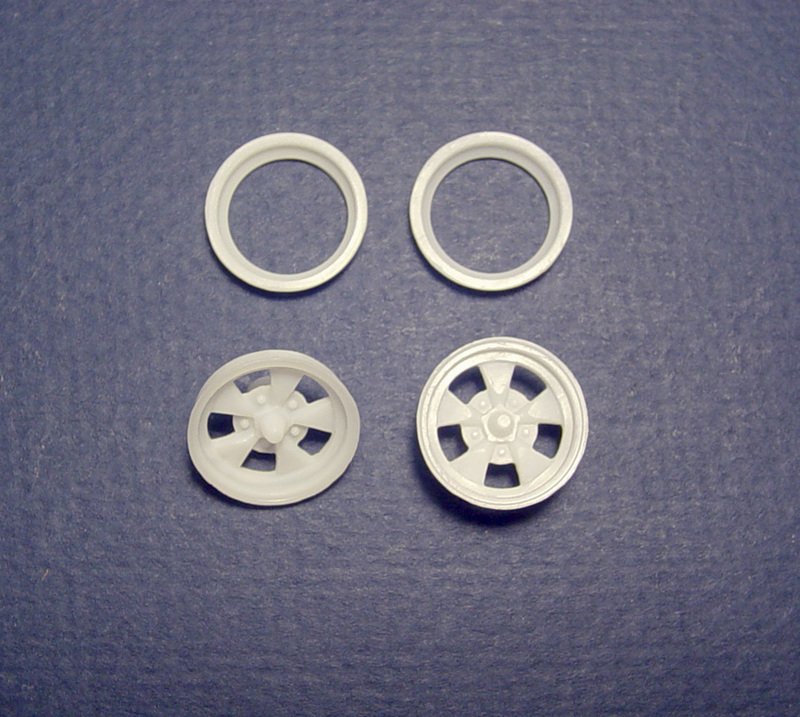 From my experience... You should spray over bare plastic or resin..... No need to have a black undercoating. 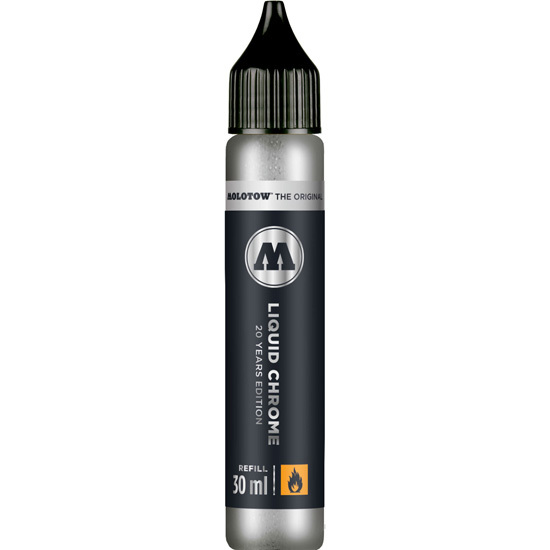 No need to thin, just pour into air brush cup and spray a heavy coat ! 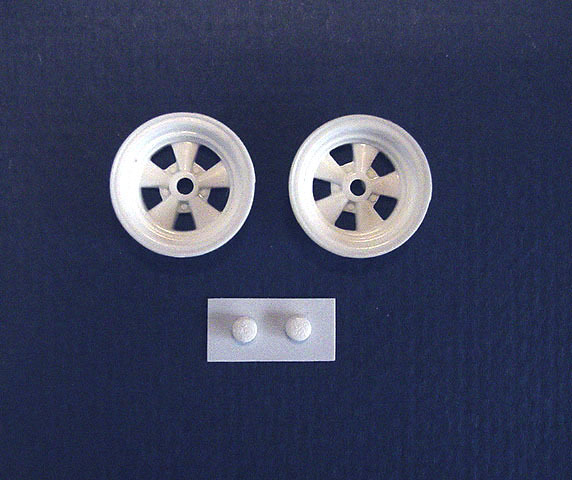 So we set out to make some accurate ones ! 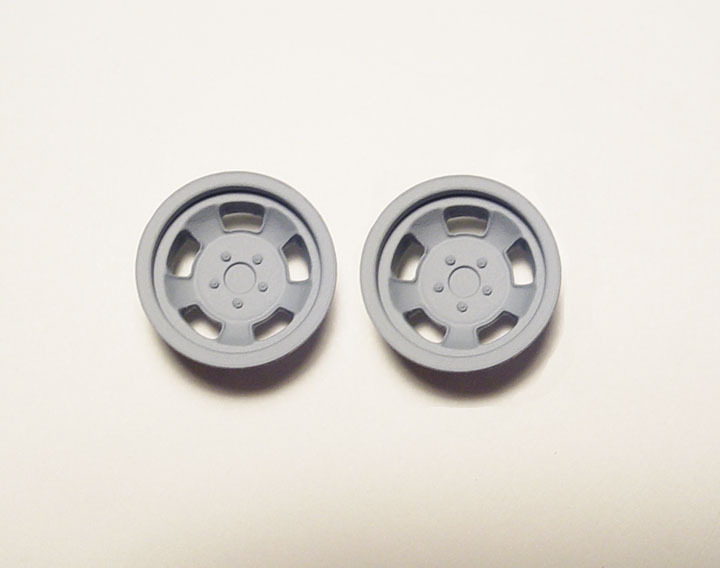 These new "Spindle Mount" mags are (zero offset) and have hubs on the back side for an axle mount. 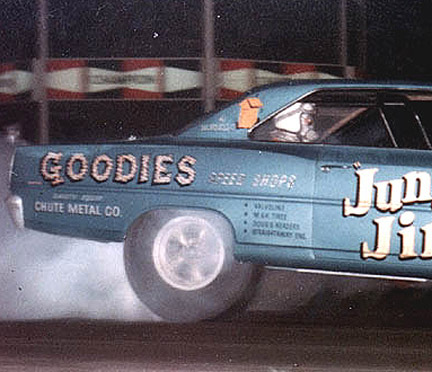 And our new.... GOODYEAR "BLUE STREAK" SKINNY FRONT TIRES #SC-75. 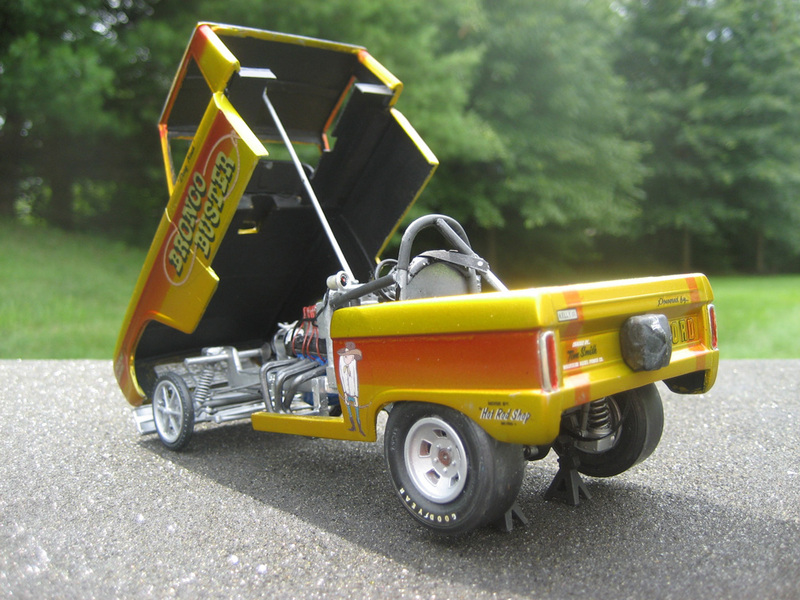 This item was semi-scratch built by ...... NOT copied from a kit ! 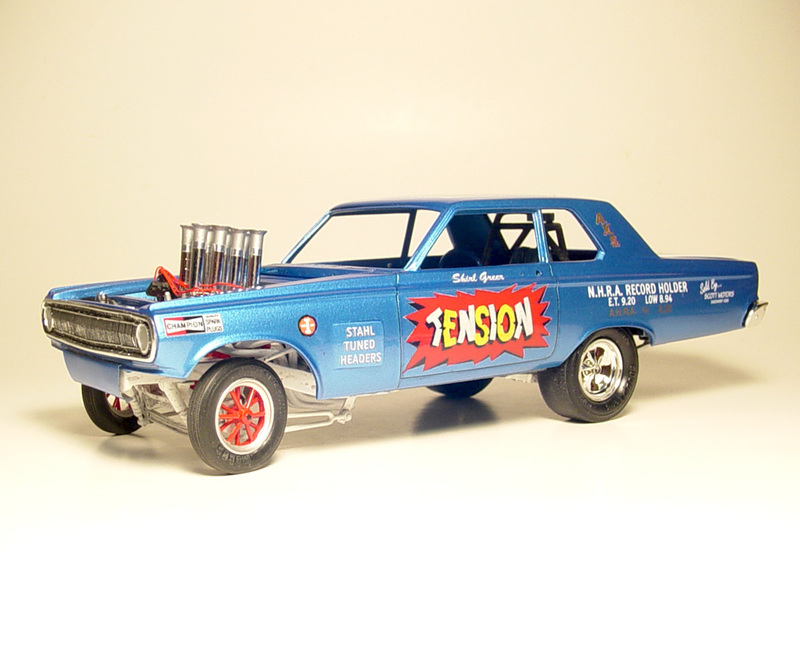 These new 15" (zero offset) mag wheels are period correct for 1964 -'67 style Gasser's, Altered's, AFX & Early Funny Cars. 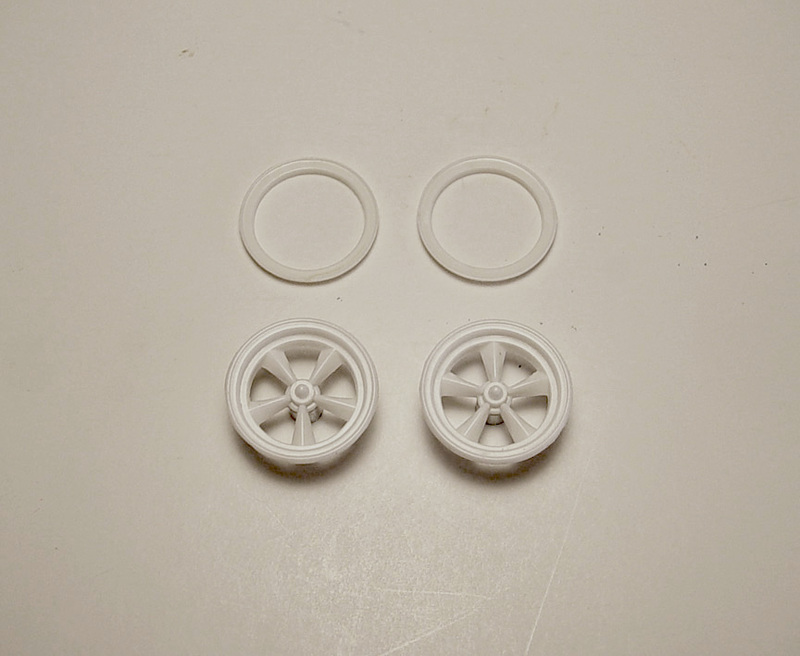 separate inner rims, and now fits all standard size and skinny racing tires. 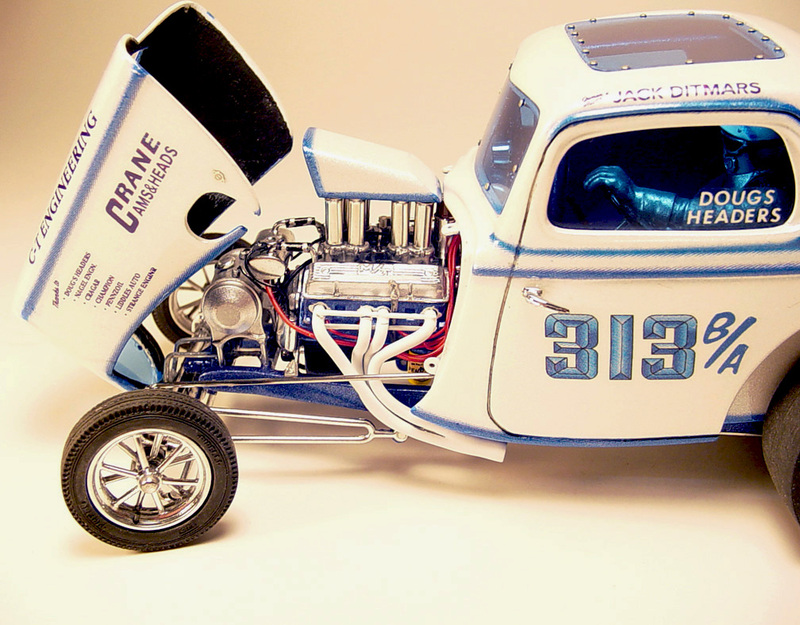 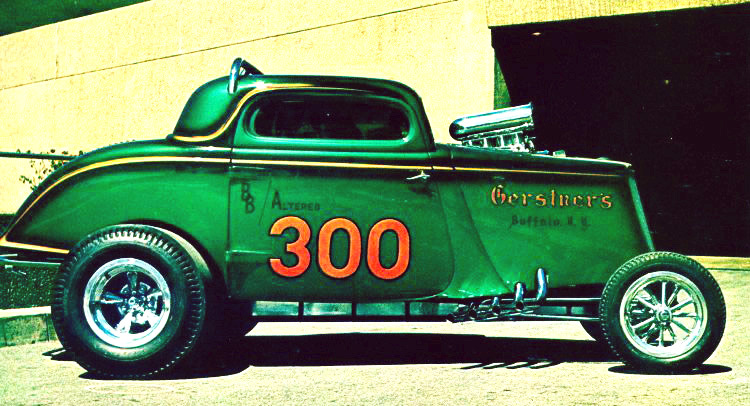 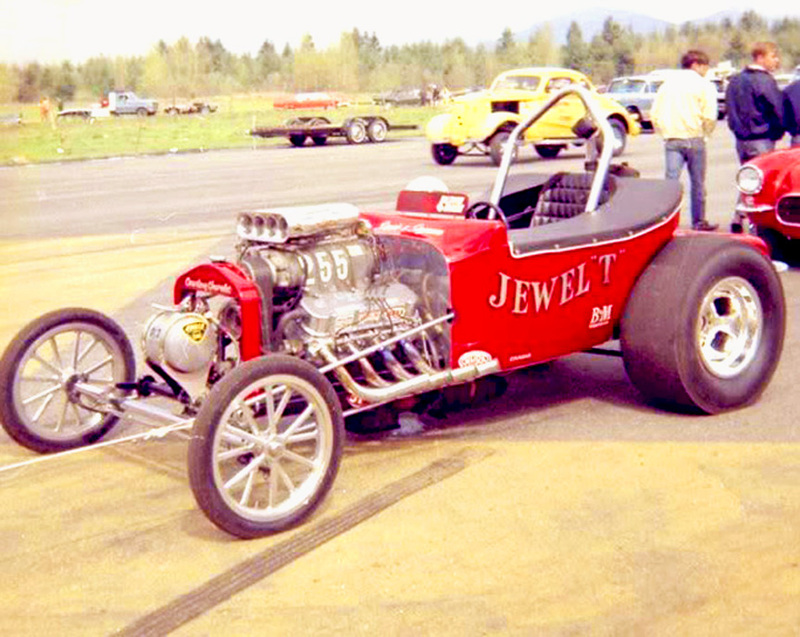 Try something different on your next Street Machine, Custom, Show Car or Rat Rod. 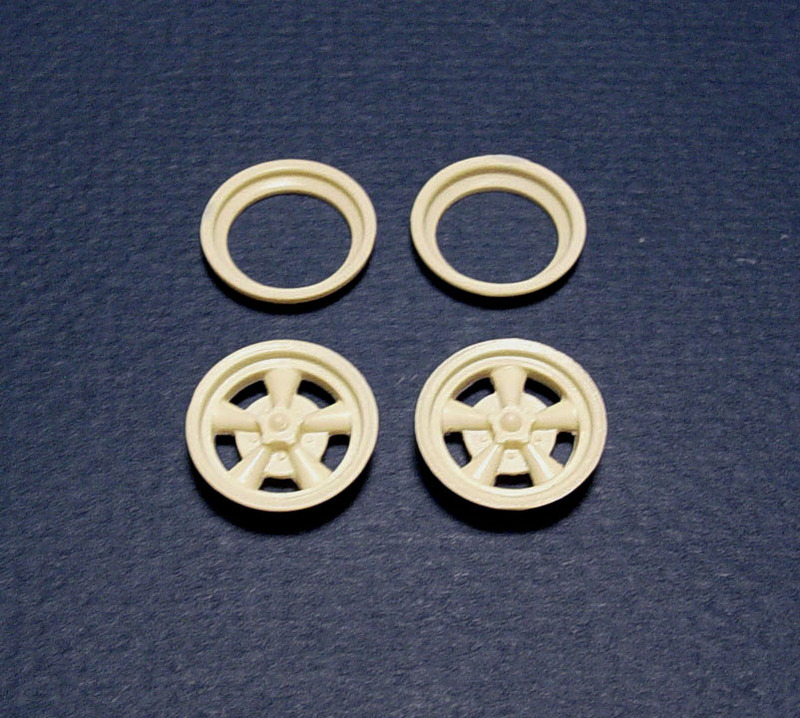 This item was modified by ...... NOT a copied kit part ! 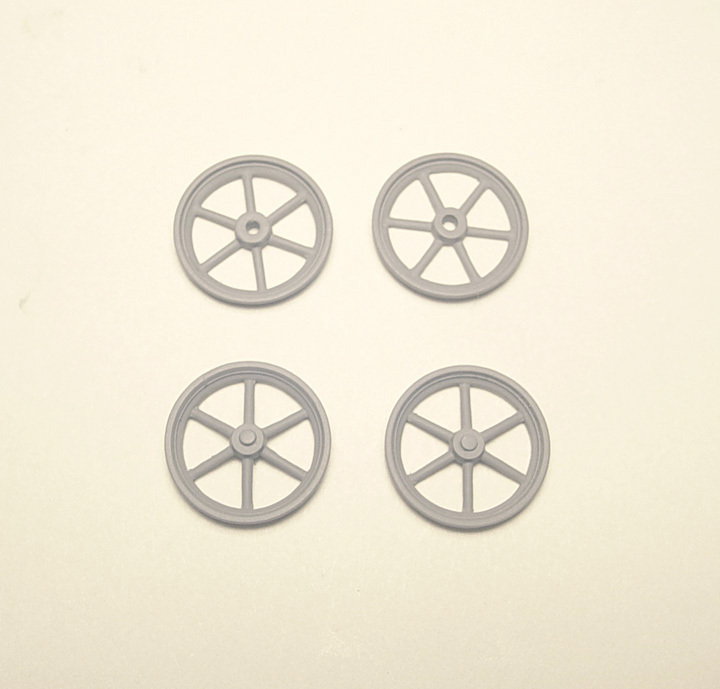 These are made from a new master (shown above) and designed to be as accurate as possible ! 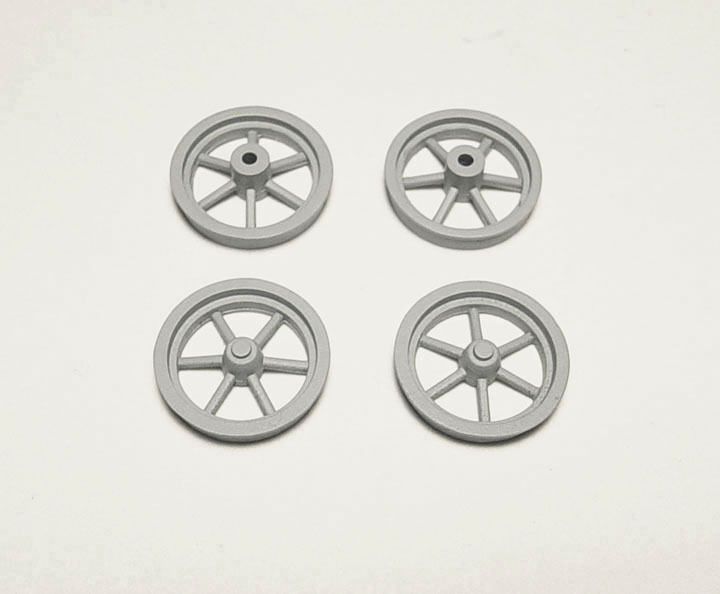 Guaranteed to be the only correct 18" 12 spokes ever made in 1/25 scale ! 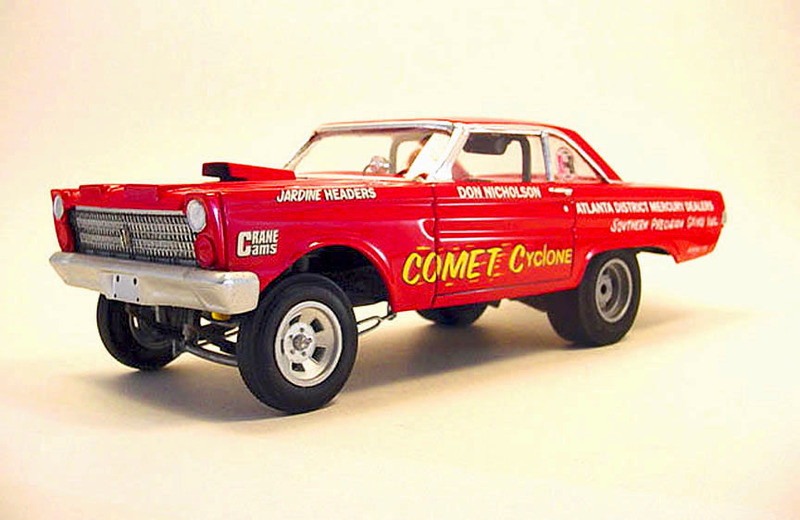 you will need to clean out the flash between the spokes. 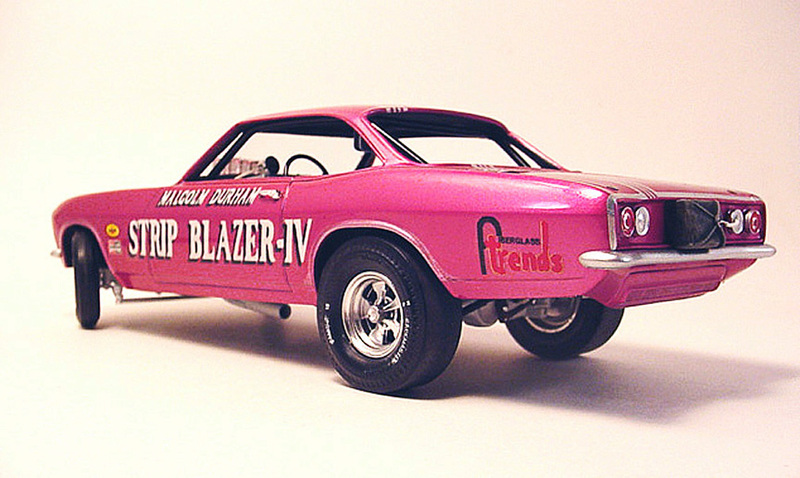 It's a bit tedious, but once finished they look amazing ! 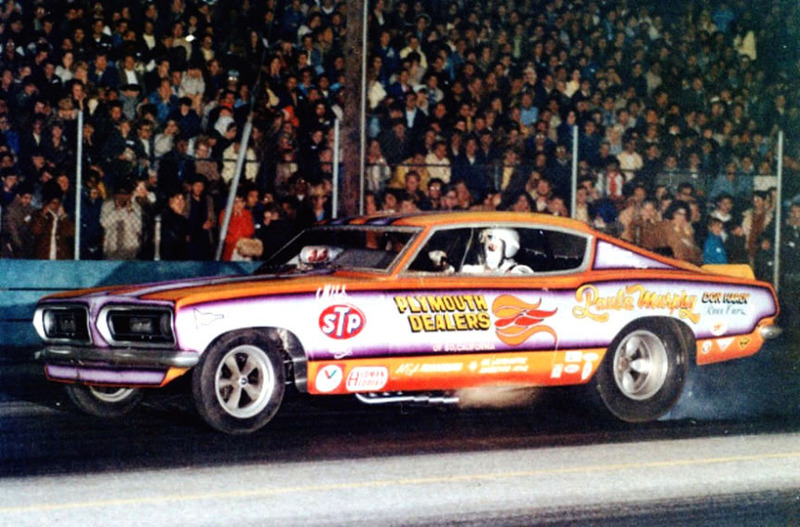 Polar Lights Funny Cars, DENMAN, PIRELLI, MOROSO Tires. 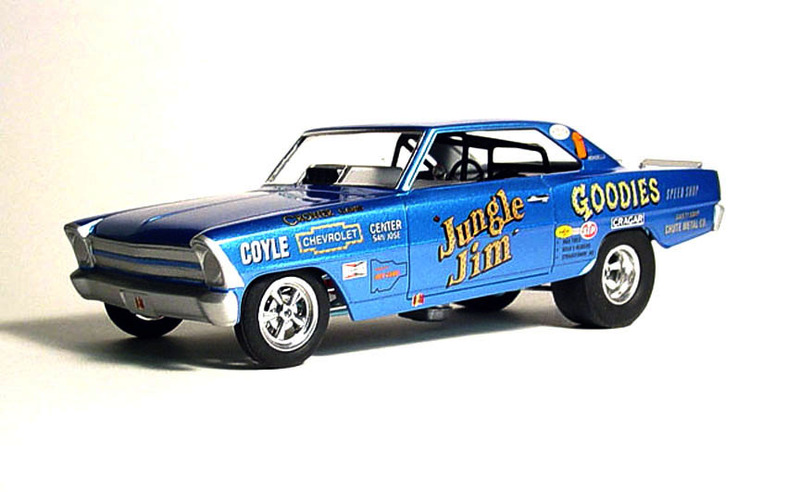 GOODYEAR BLUE STREAK *AFX* SKINNY FRONT TIRES #SC-37. 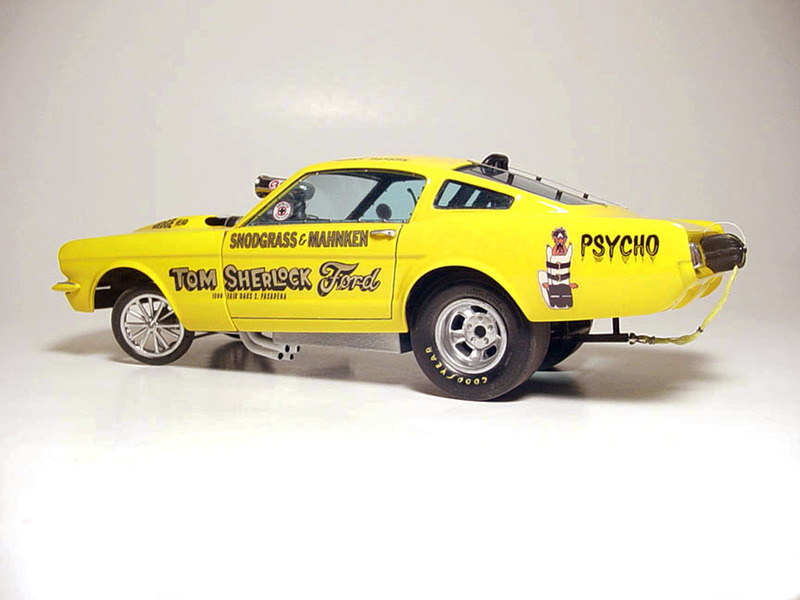 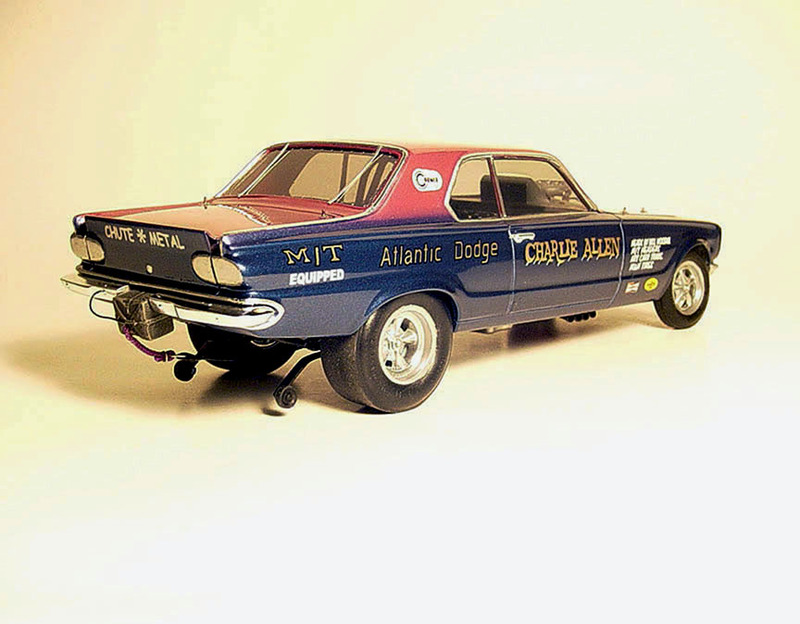 than the AMT Falcon Funny Car Mags...... and look more realistic ! 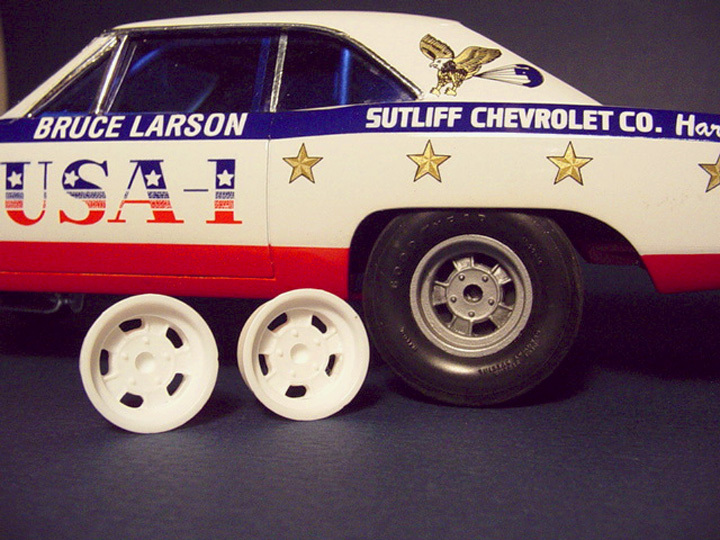 and will fit our *Super Stock* SKINNY FRONT TIRES #SC-72. 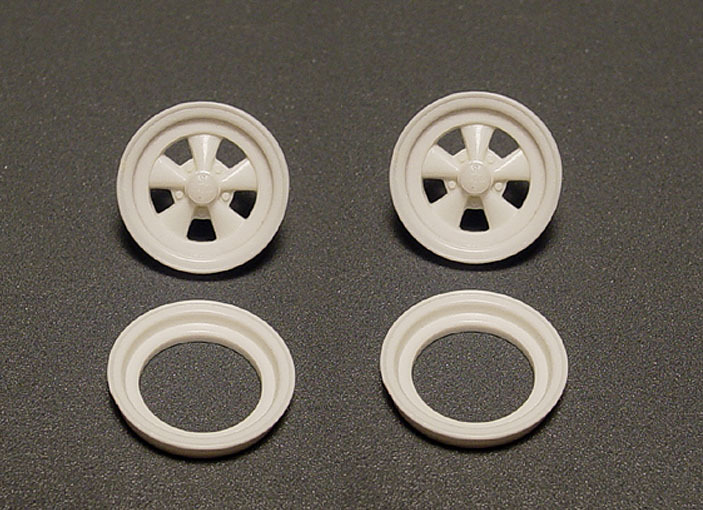 No model kit ever made a 16" Daisy (Deep Dish) mag wheel. 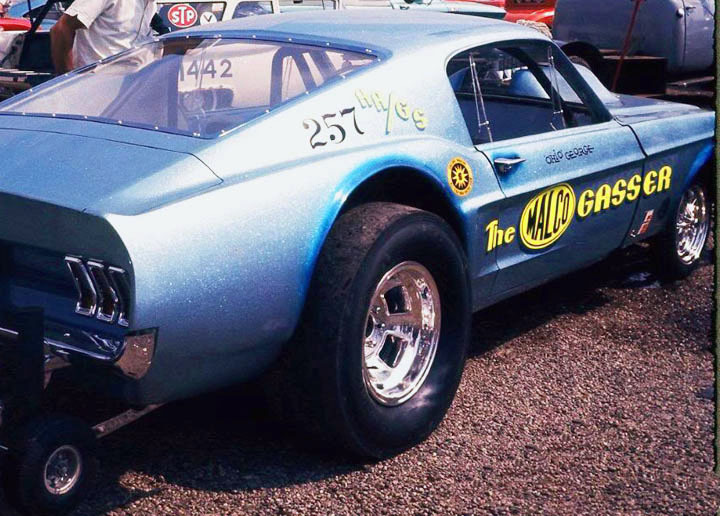 These will fit Polar Lights F/C Slicks, our Goodyear "Blue Streak" 16" Slicks and our M&H Racemaster 16" Slicks. 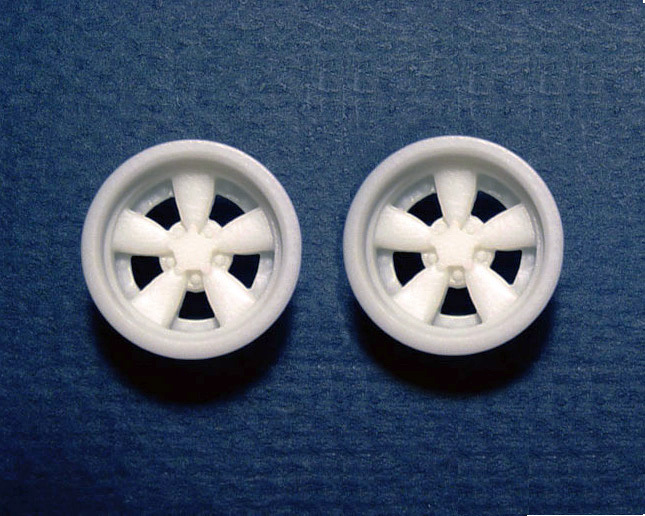 Use our Speed City *Deep Dish* "INNER RIMS" for these mags. 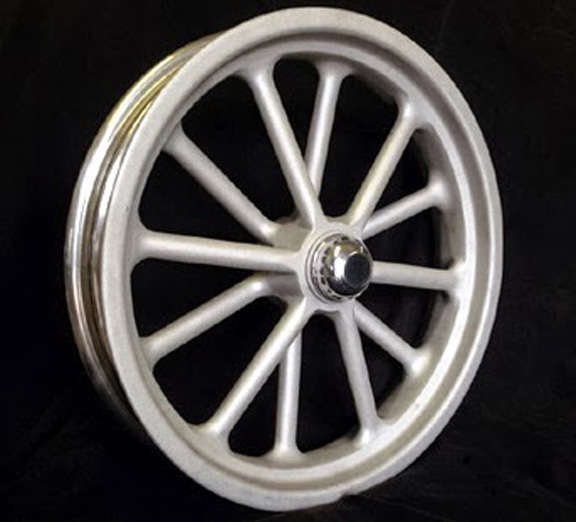 No model company ever made a 16" Daisy "Shallow Dish" mag wheel. 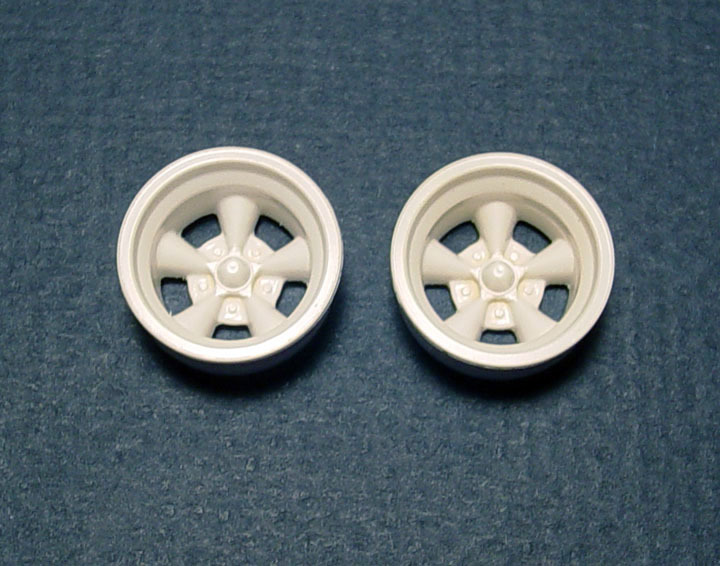 Use our Speed City *Shallow Dish* "INNER RIMS" for these mags. 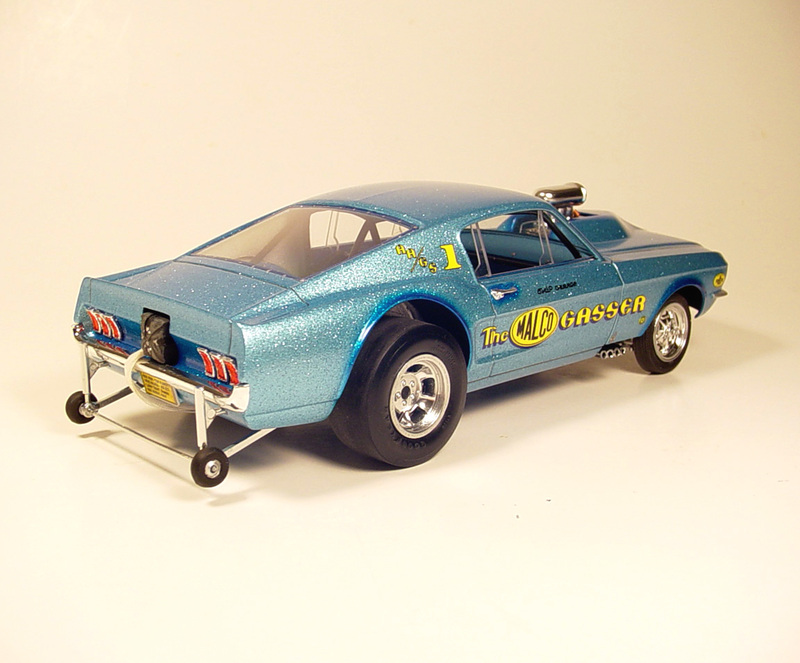 These new 16" mag wheels are period correct for 1964 -'67 style Gasser's, Altered's, AFX & Early Funny Cars. 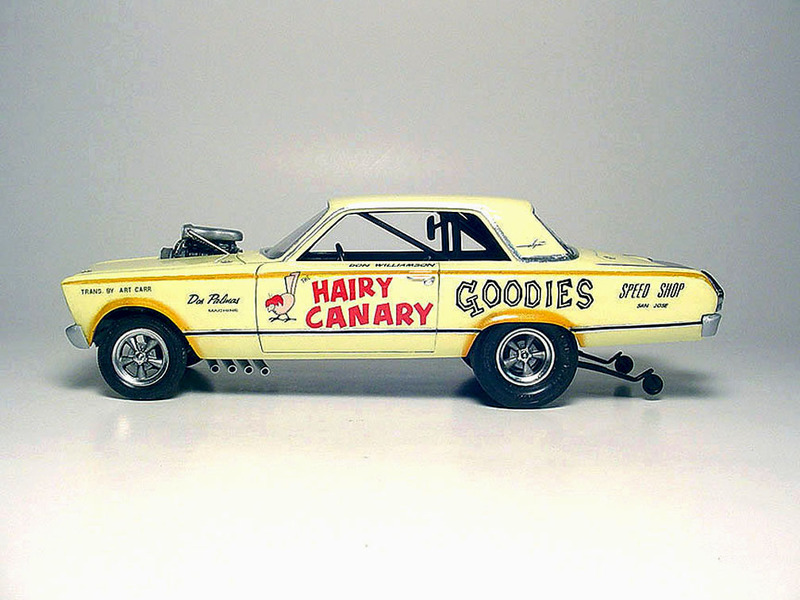 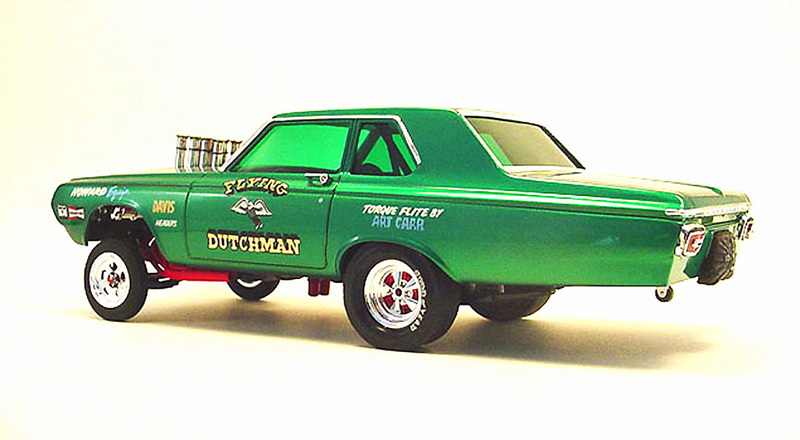 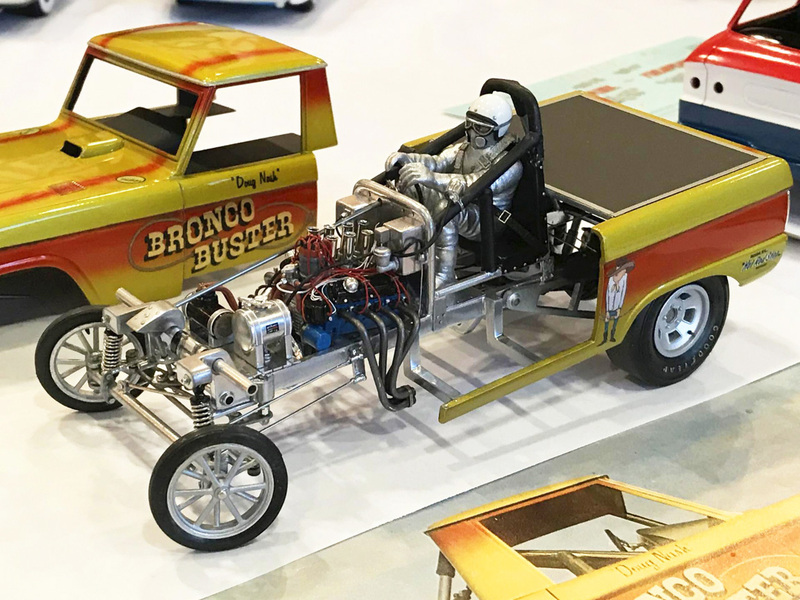 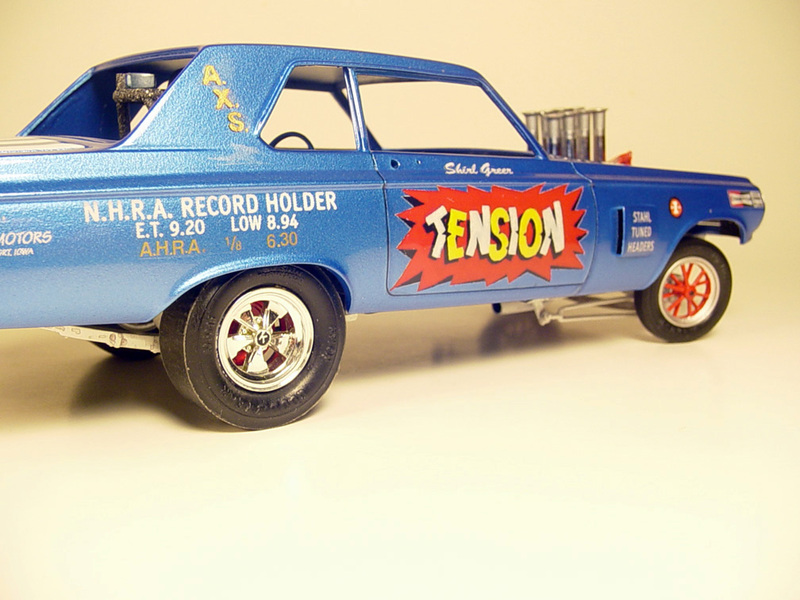 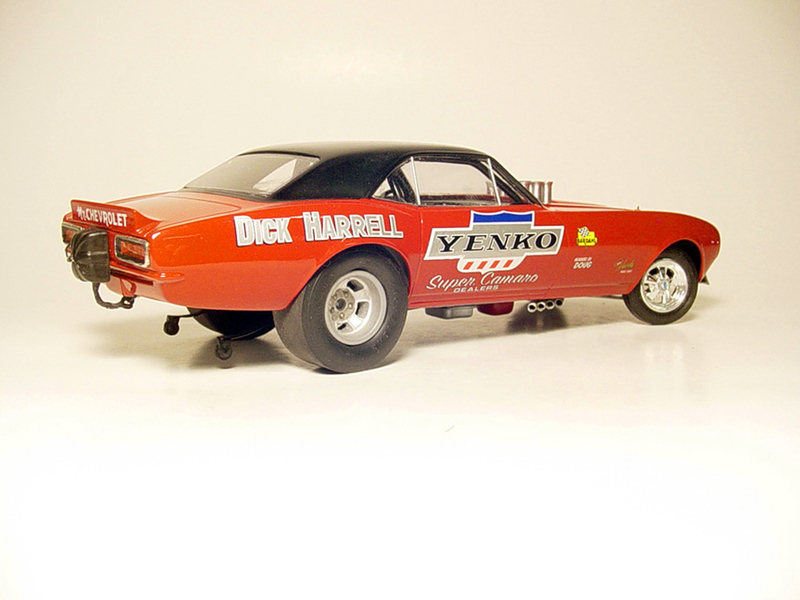 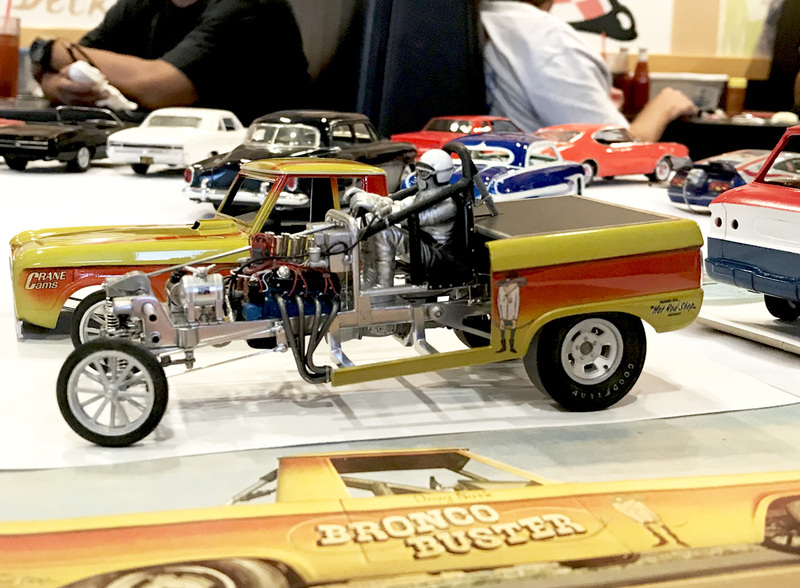 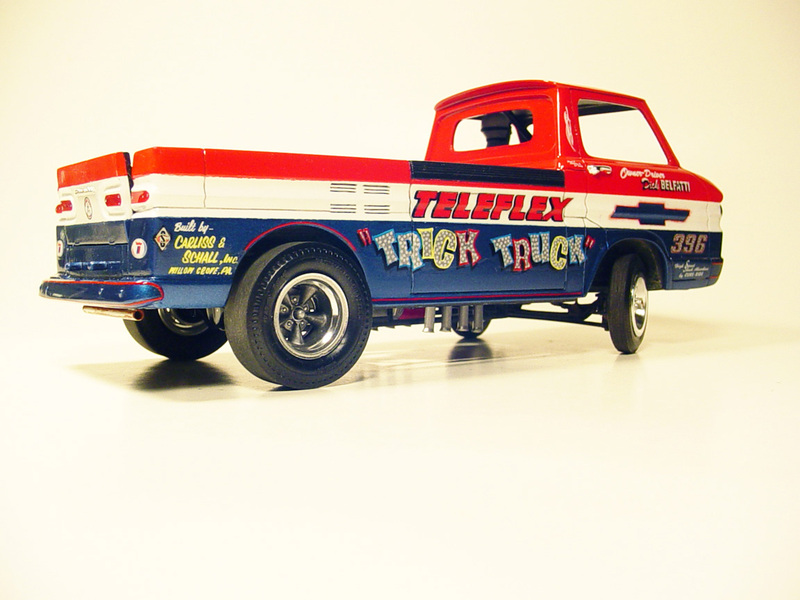 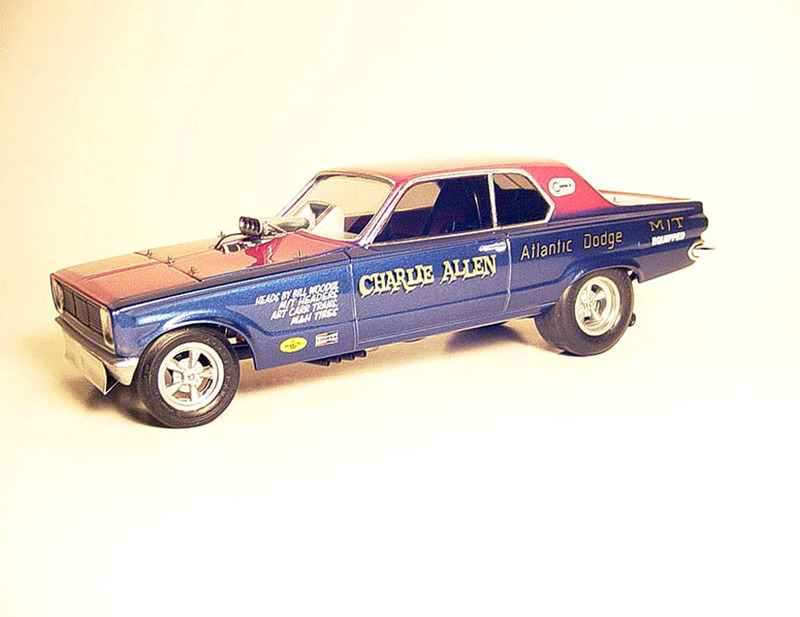 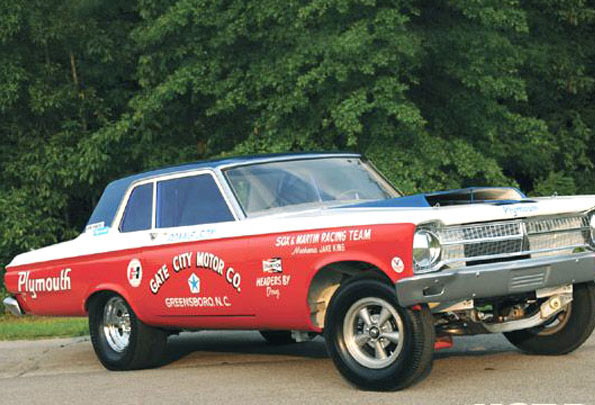 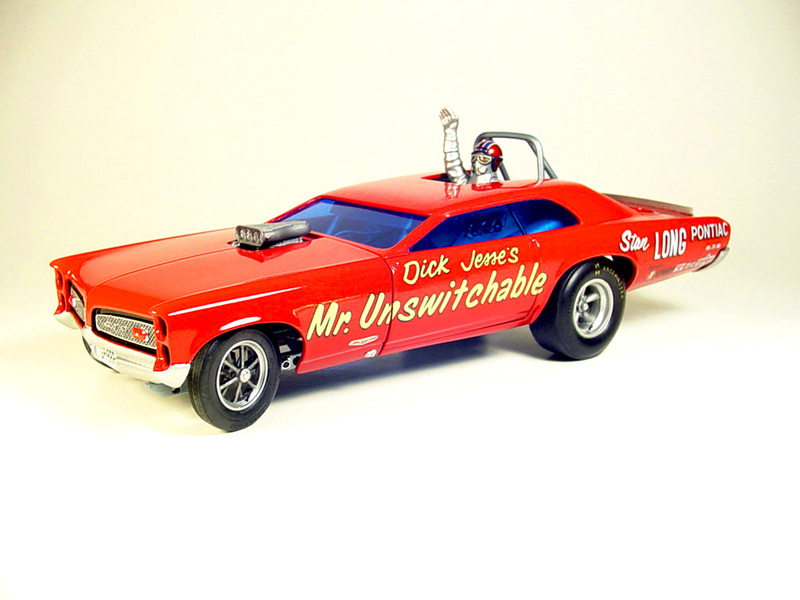 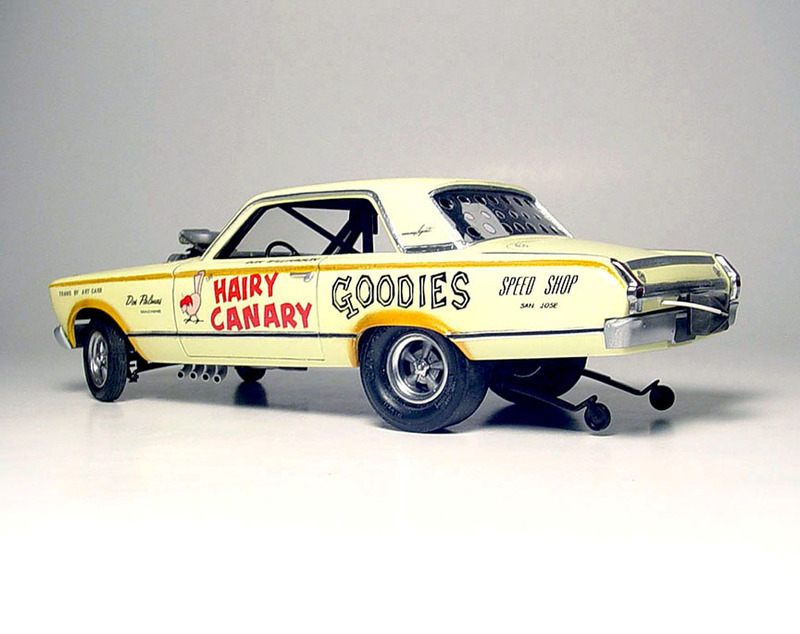 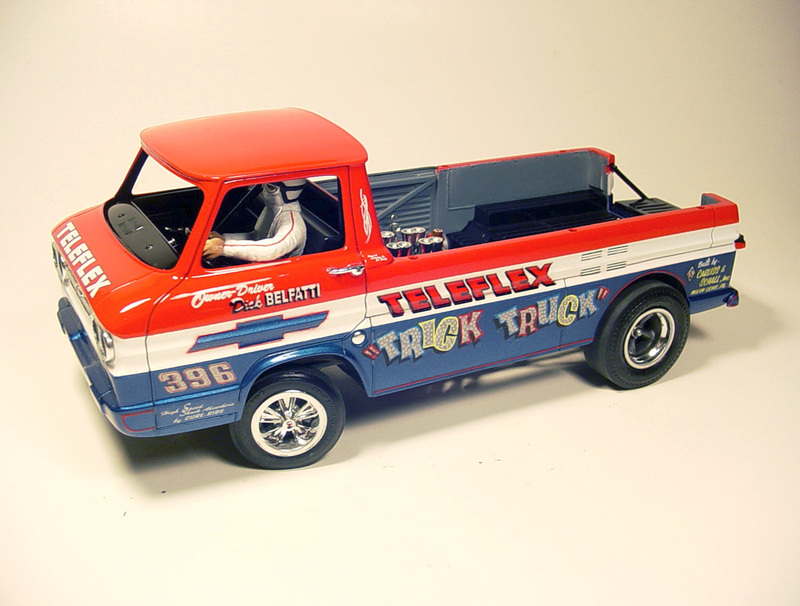 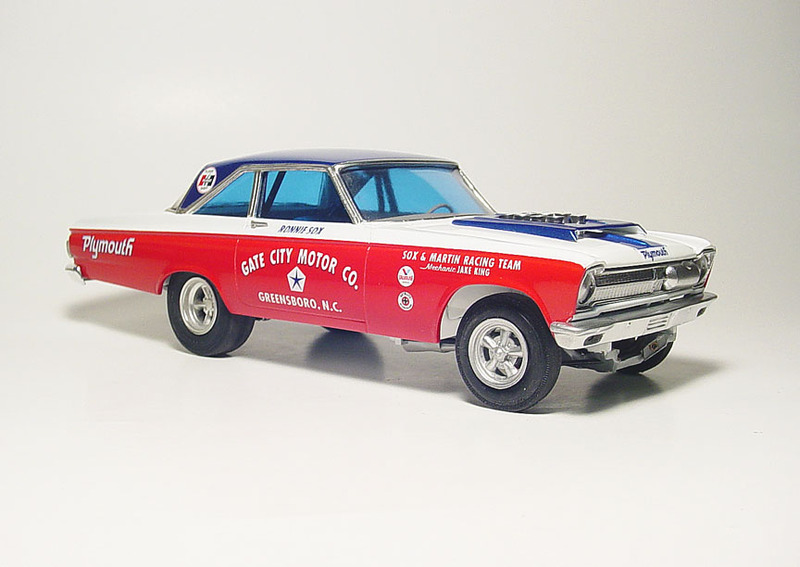 These are period correct for 1964 -'67 style Gasser's, Altered's, AFX & Early Funny Cars. 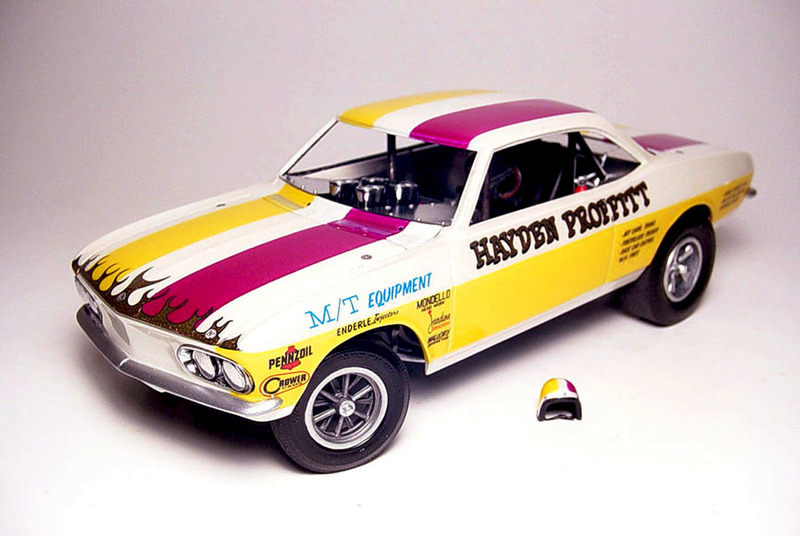 Almost all the factory AFX cars ran these mags. 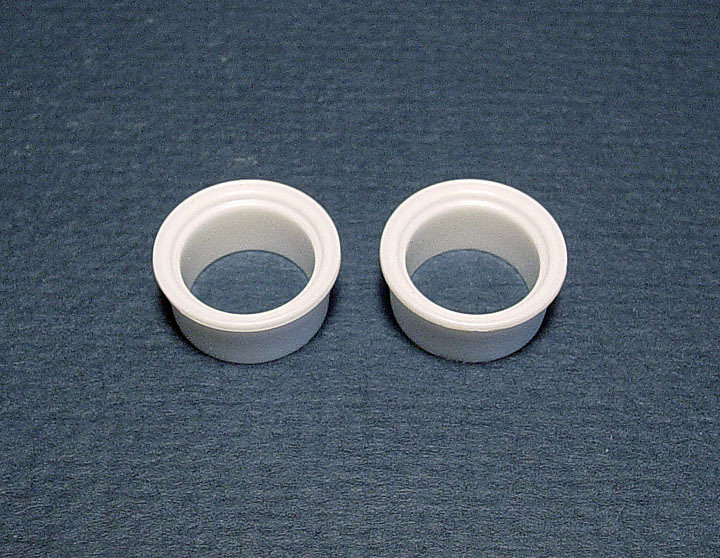 These have a "shallow offset" and can be used on Street Machine's front & rear. 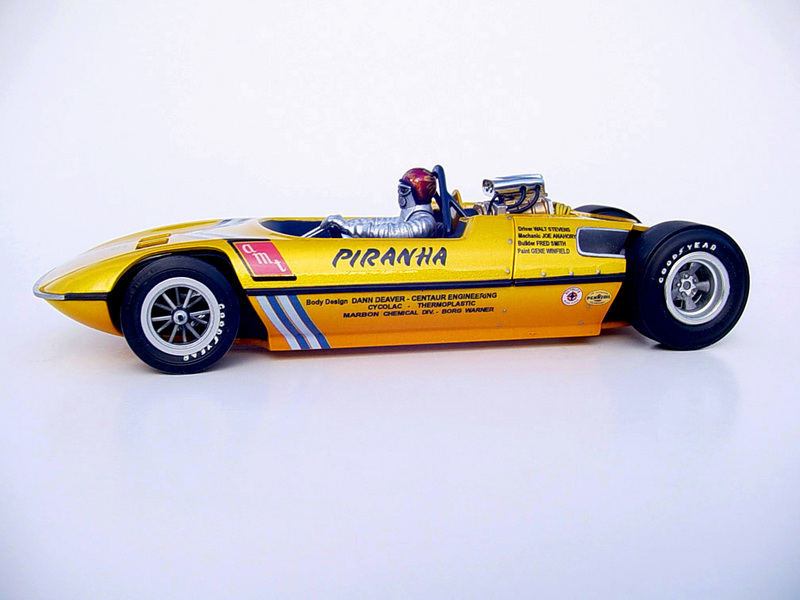 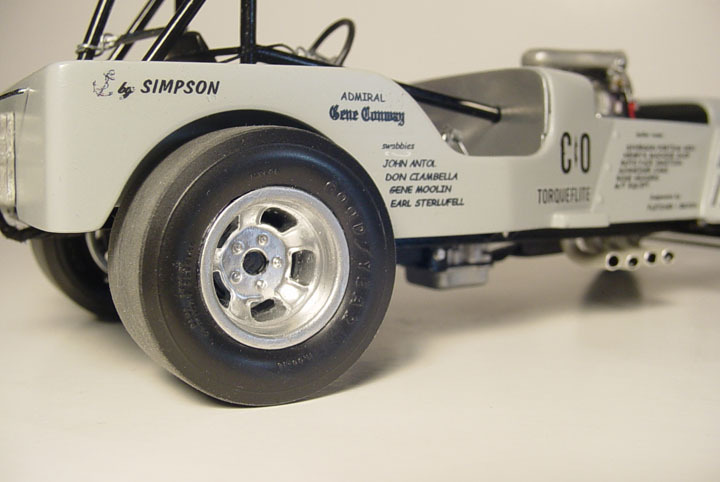 Will fit most standard size 1/25 slicks or tires. 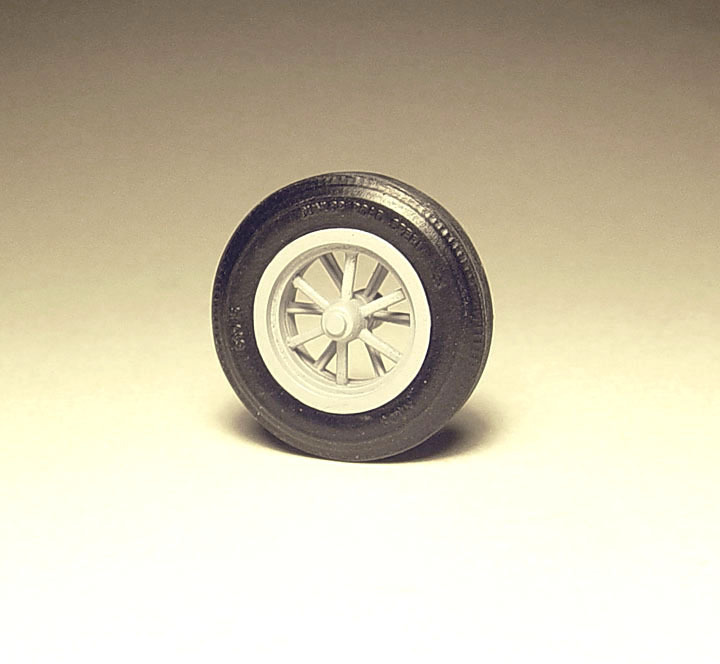 Fits all of our Speed City 15" Slicks. 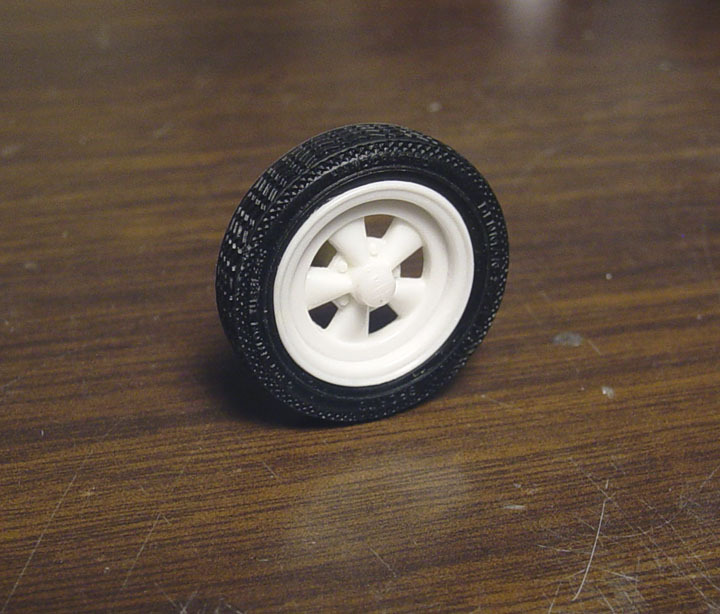 These mag wheels are zero offset. 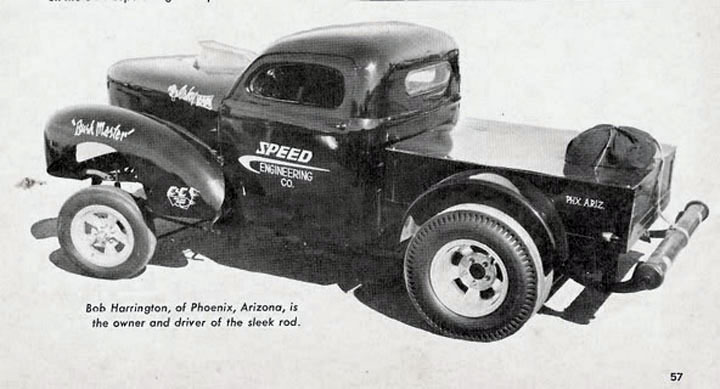 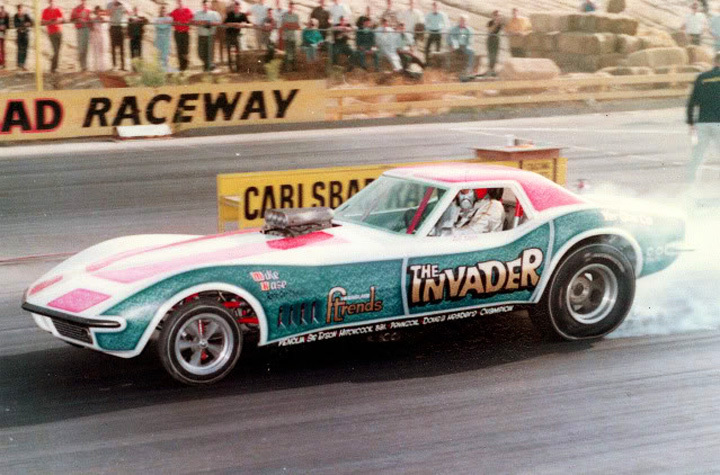 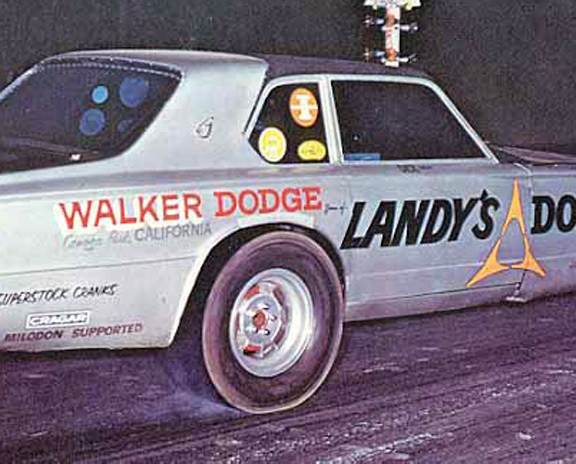 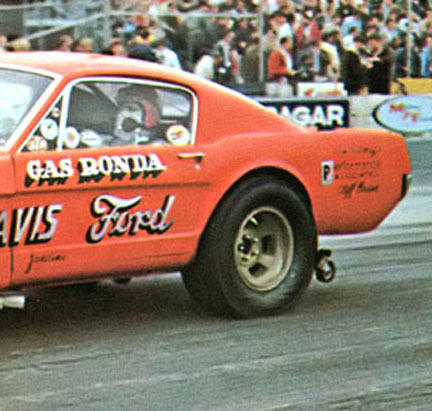 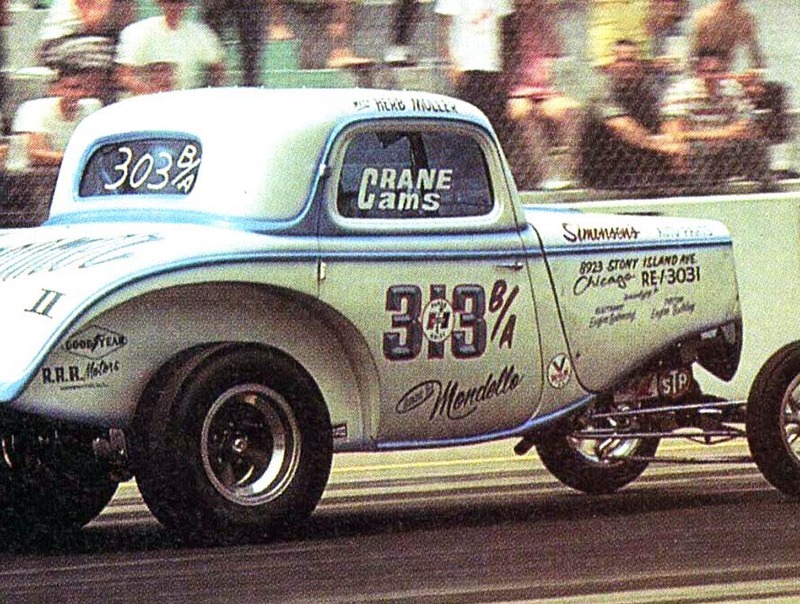 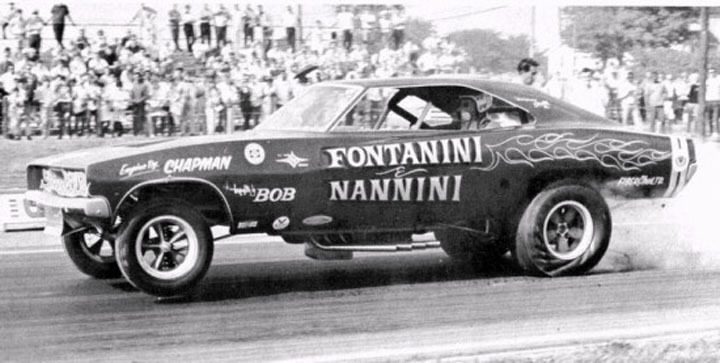 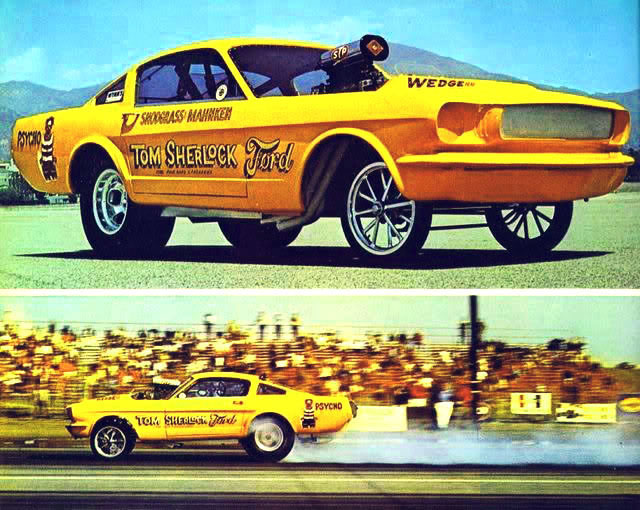 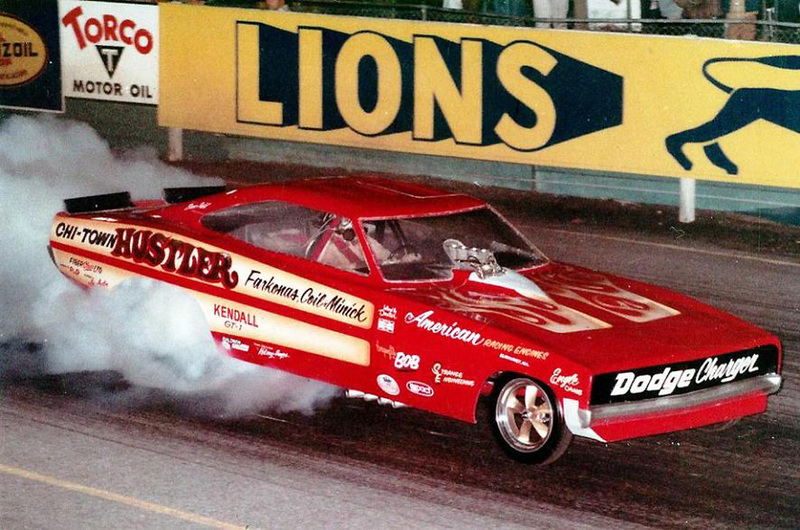 "The most popular front wheel used in Drag Racing"
All the factory AFX cars ran these American Mags ! 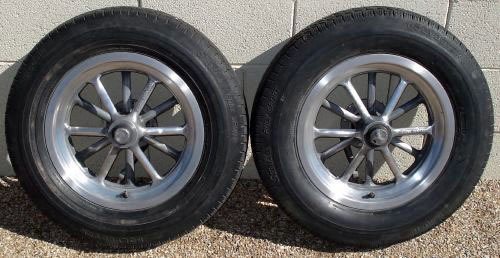 Keep in mind these are 16" mag wheels and do not fit standard size 15" slicks. 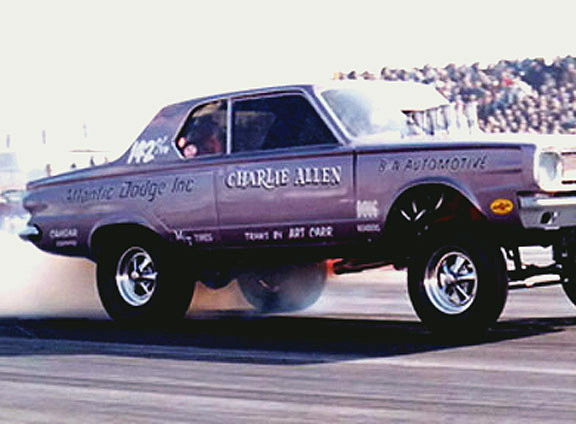 These new mag wheels are period correct for 1964-'67 style Gasser's, Altered's, Dragster's and Funny Cars. 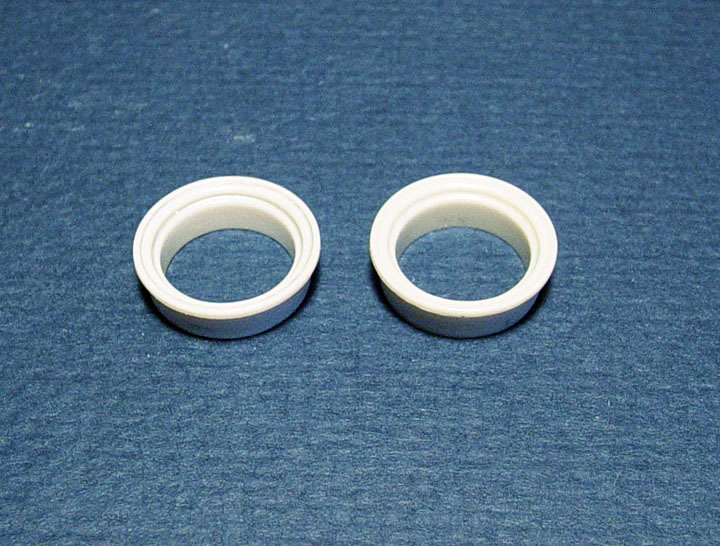 A comparison between the "shallow dish" and "deep dish" Halibrand's. 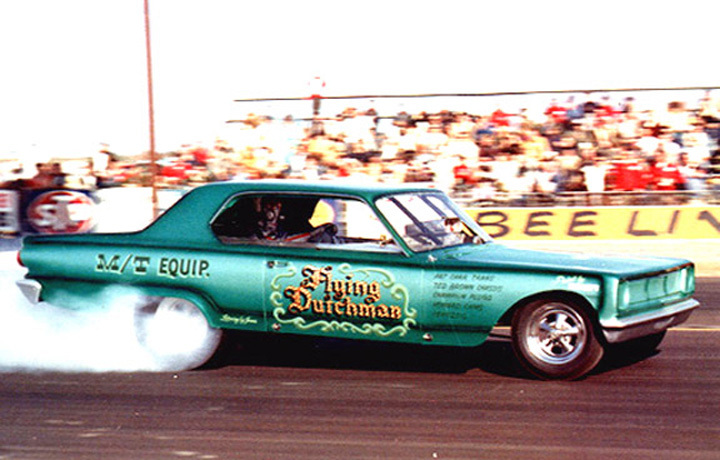 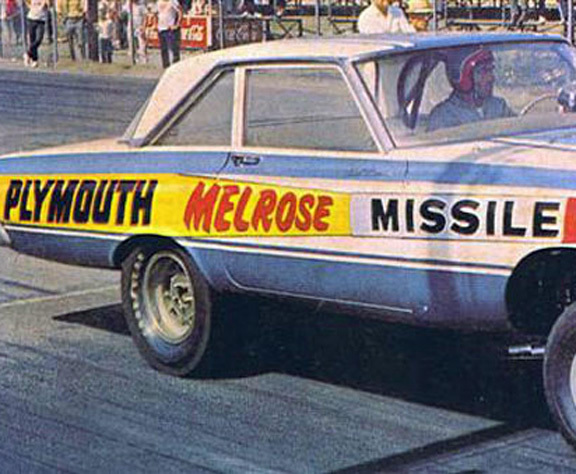 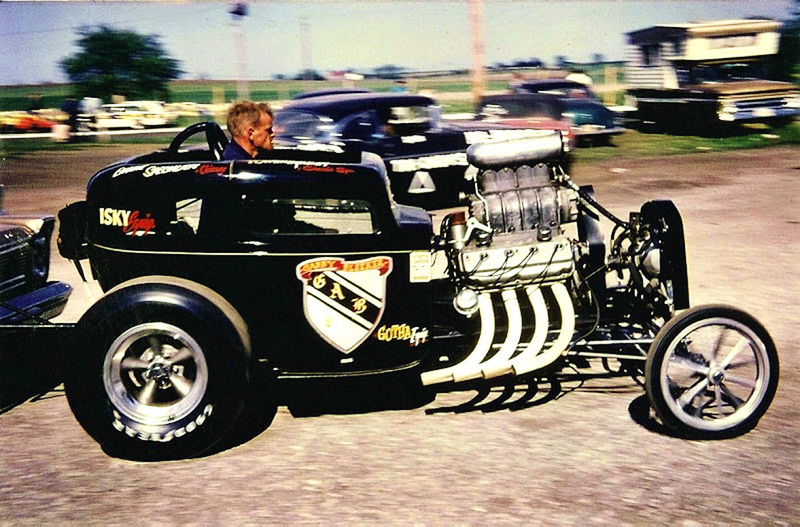 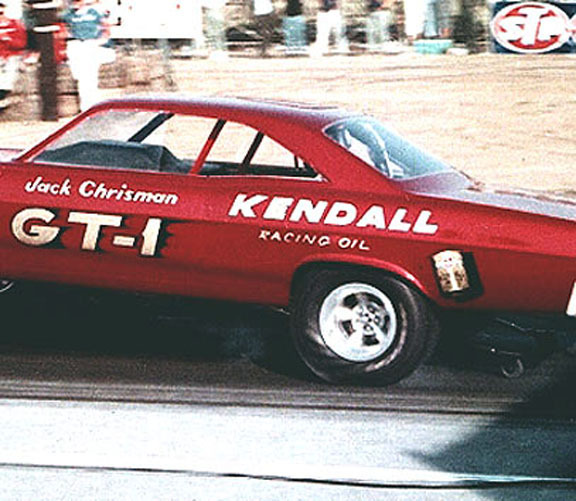 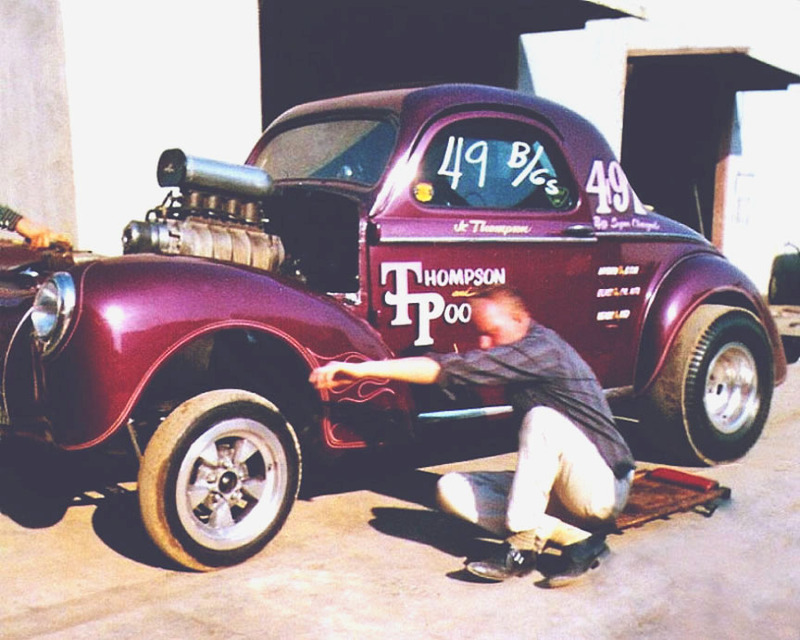 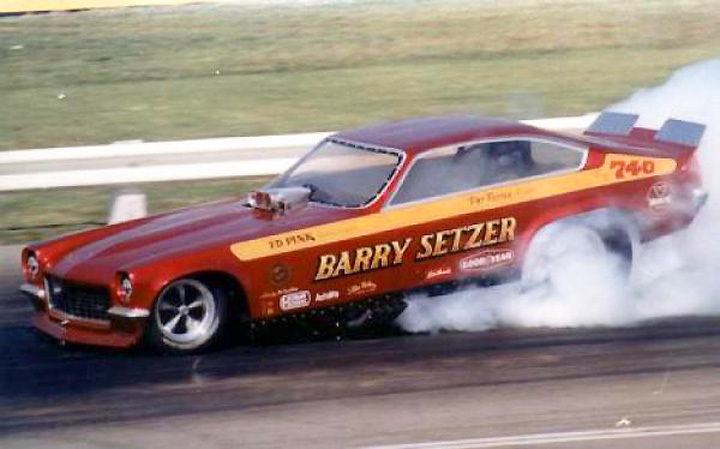 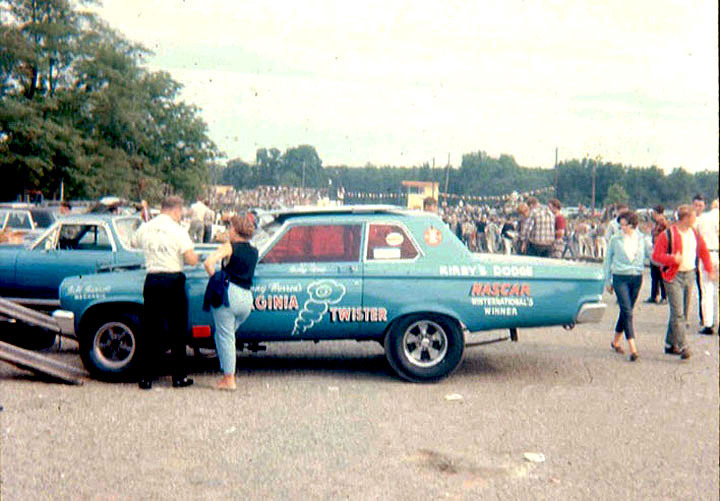 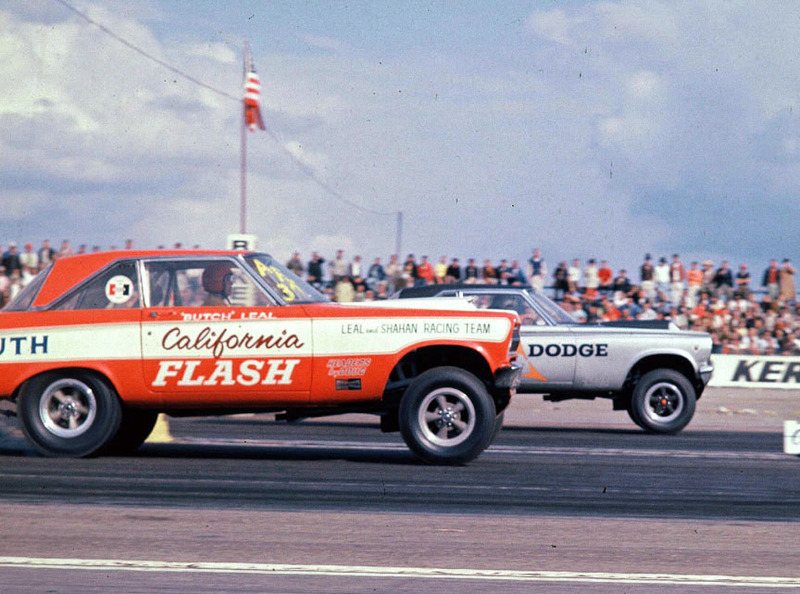 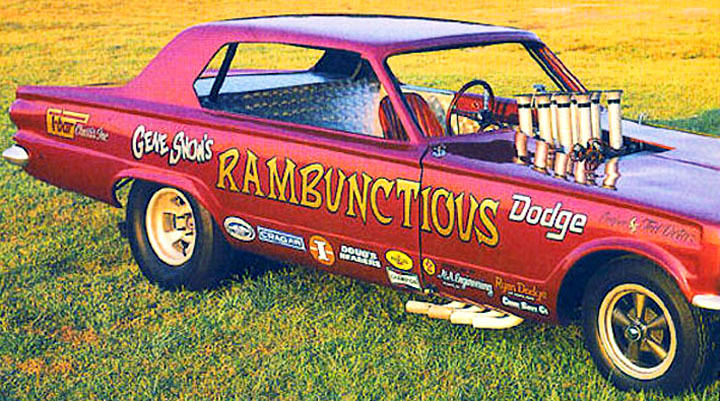 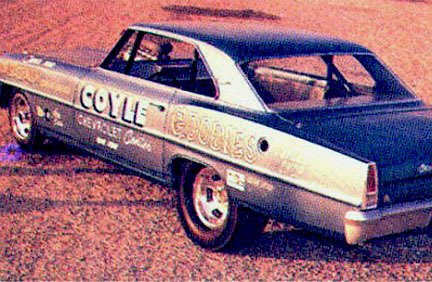 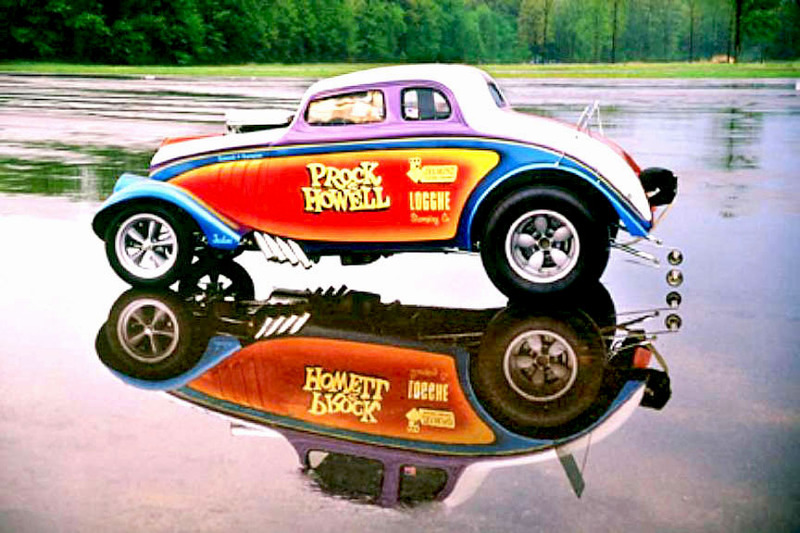 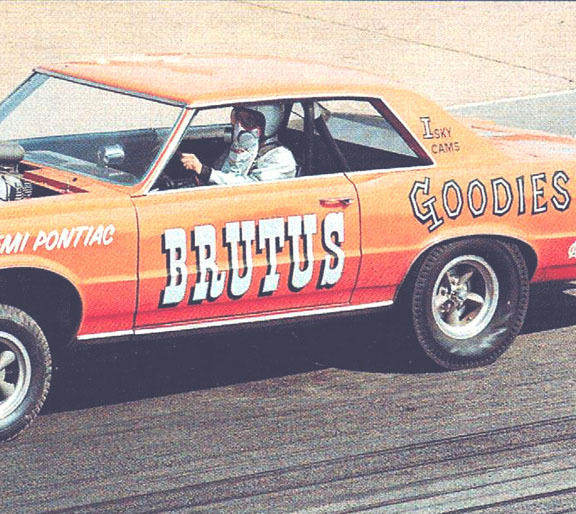 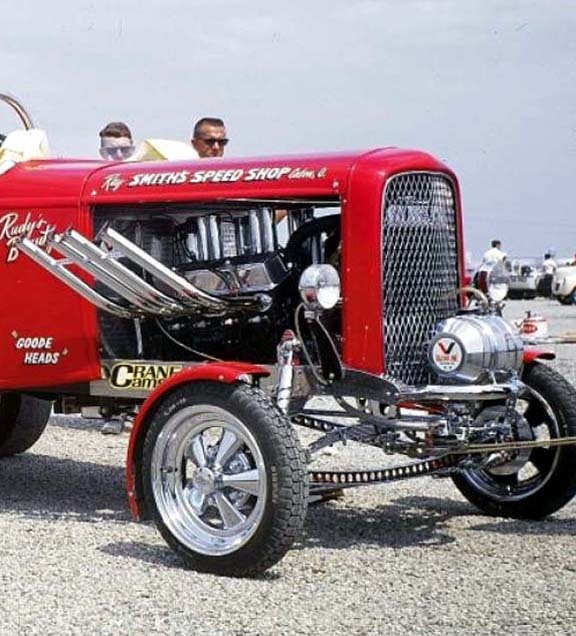 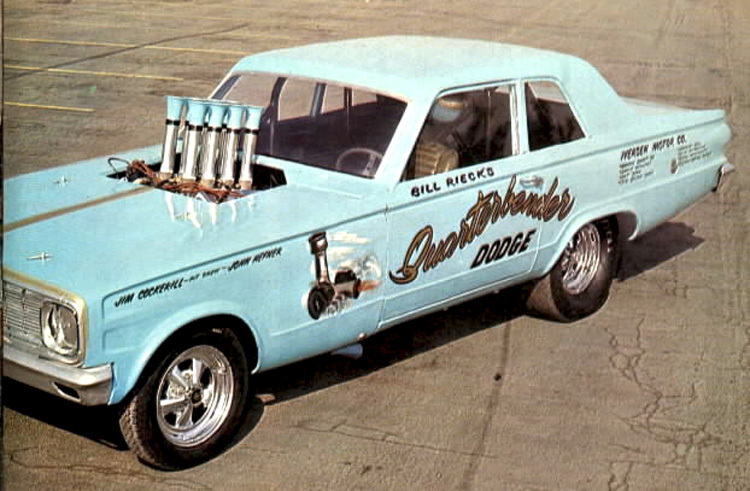 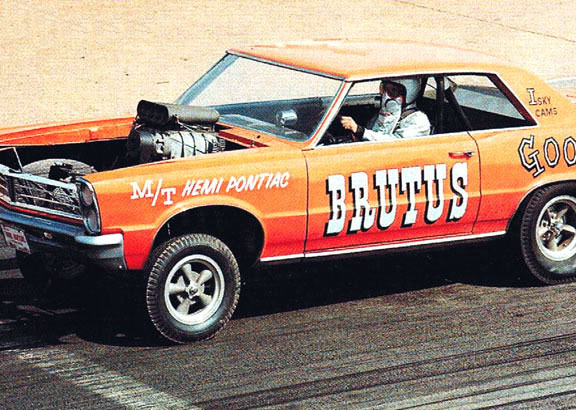 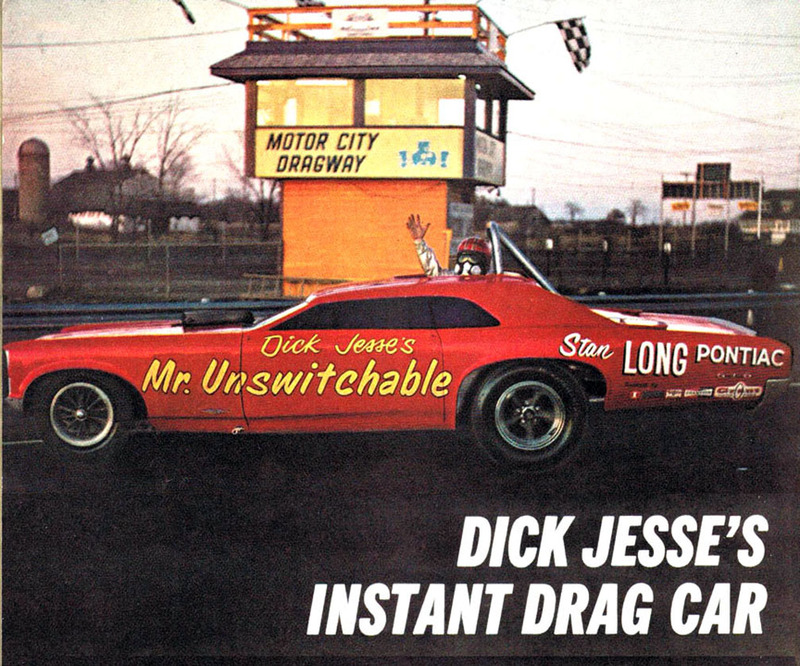 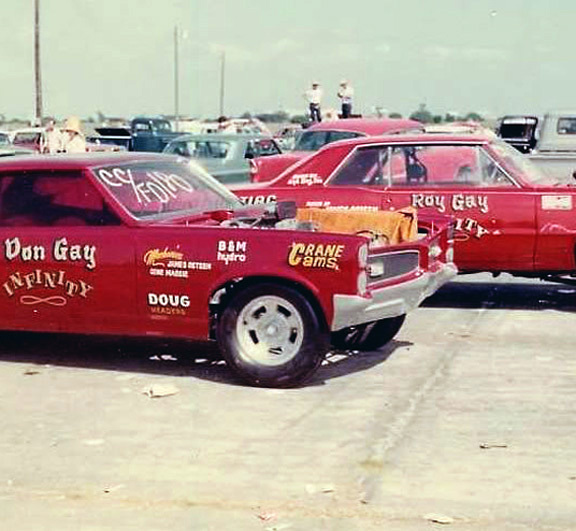 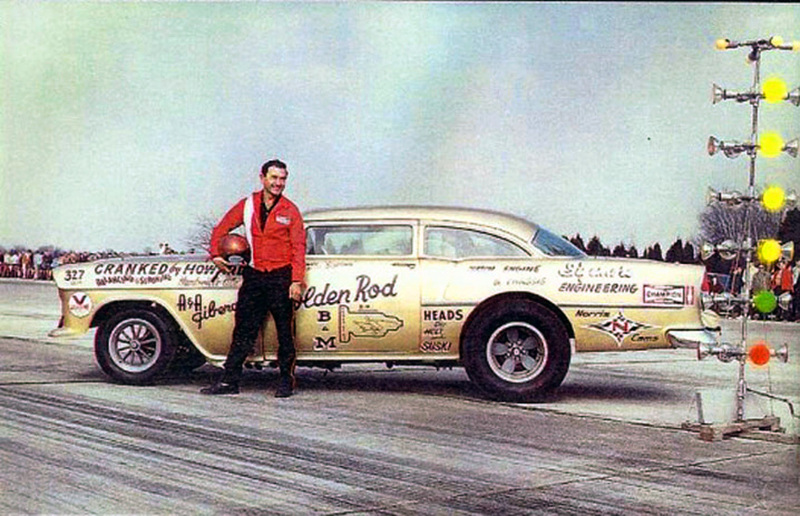 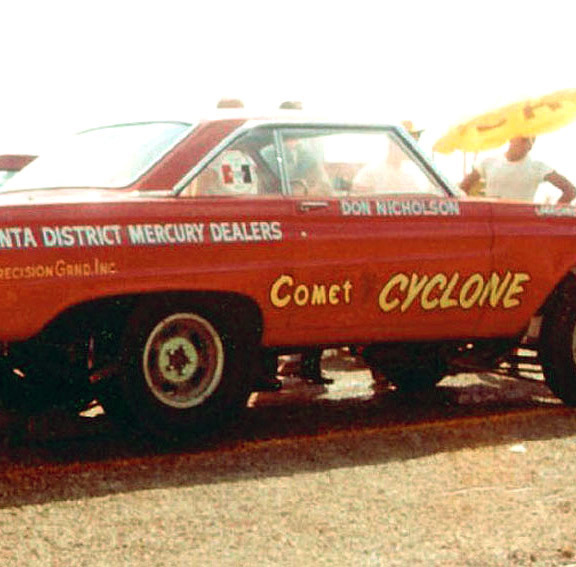 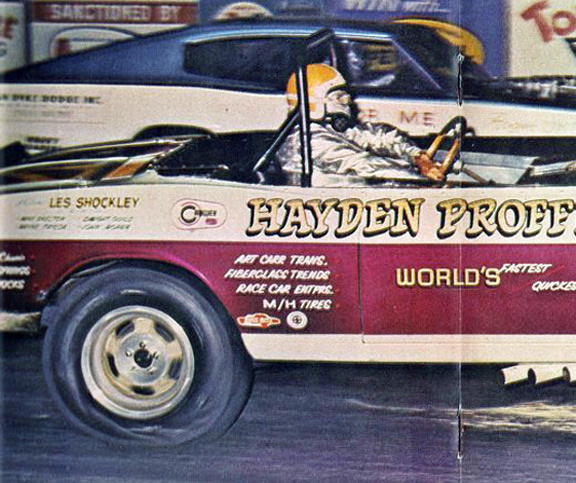 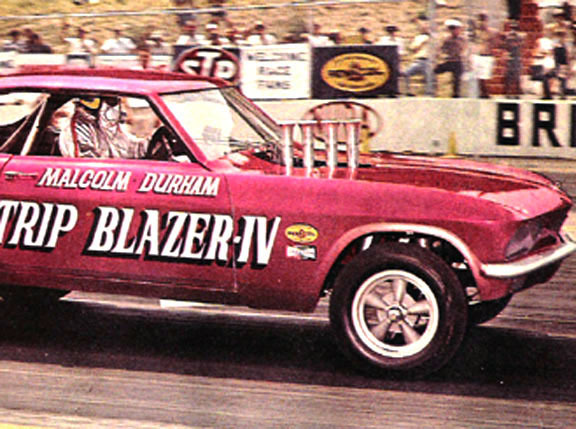 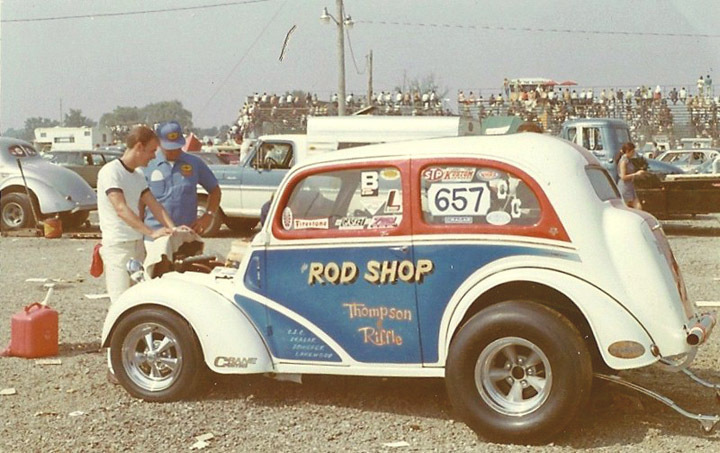 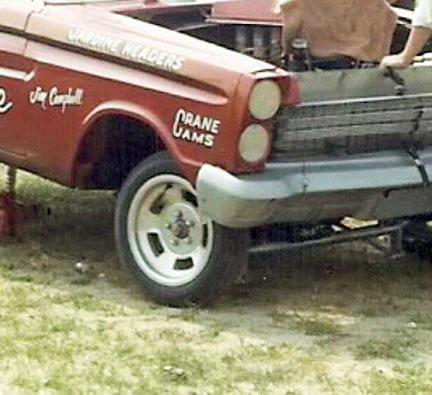 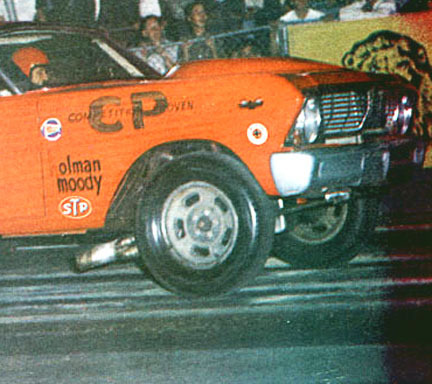 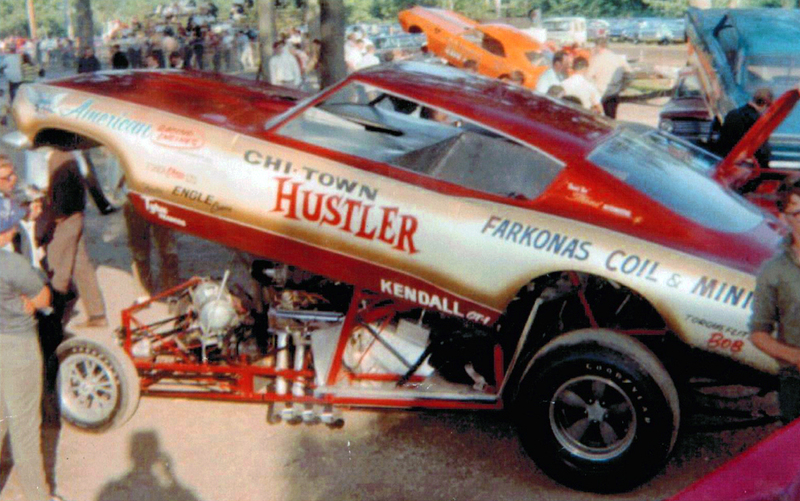 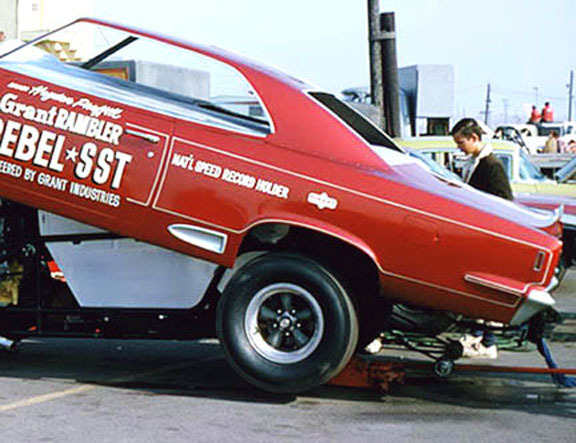 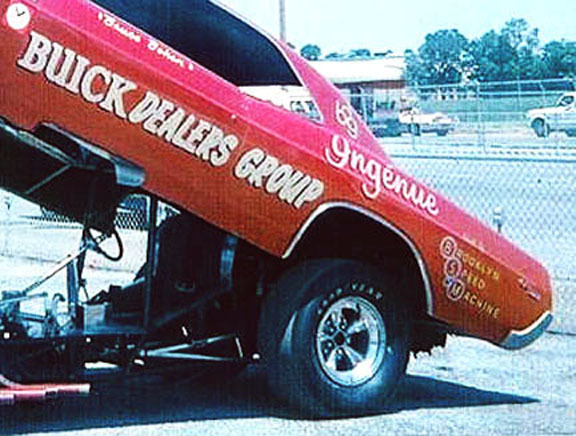 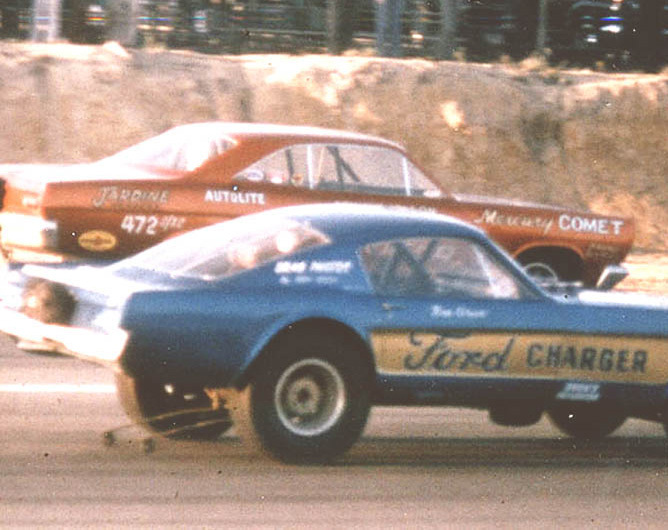 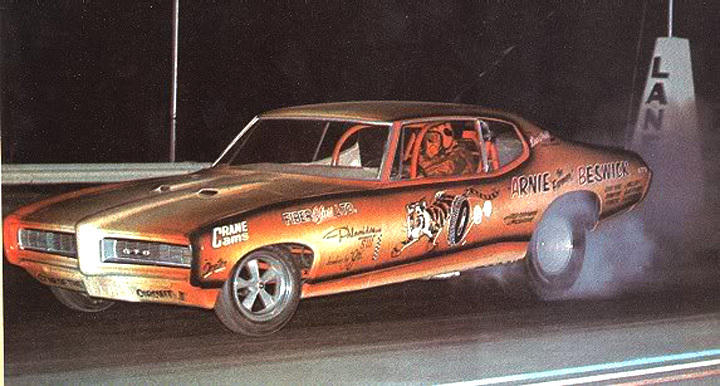 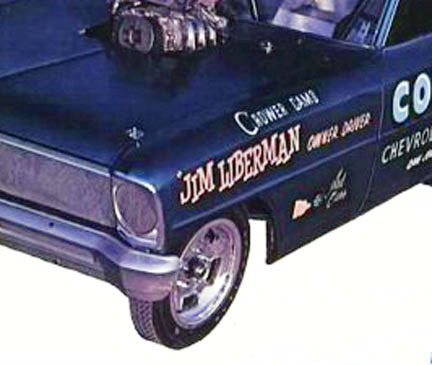 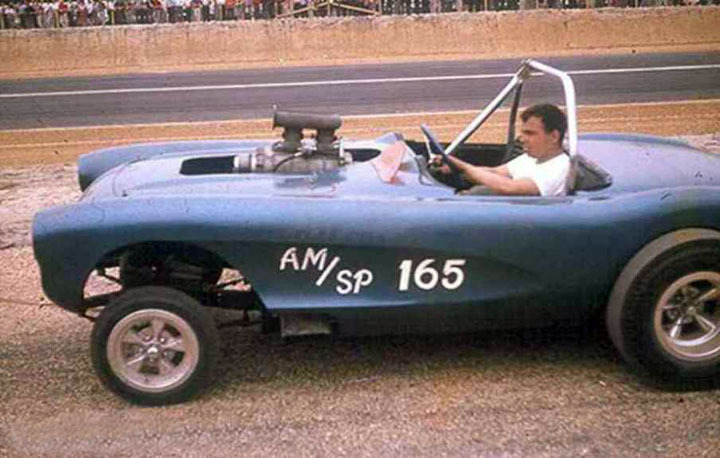 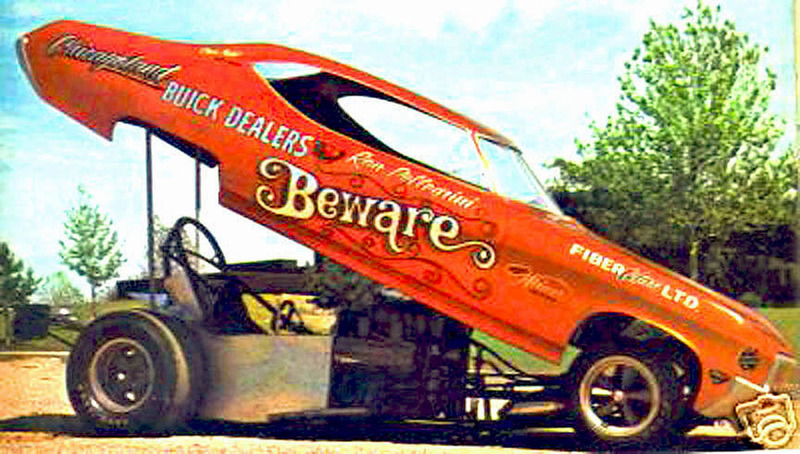 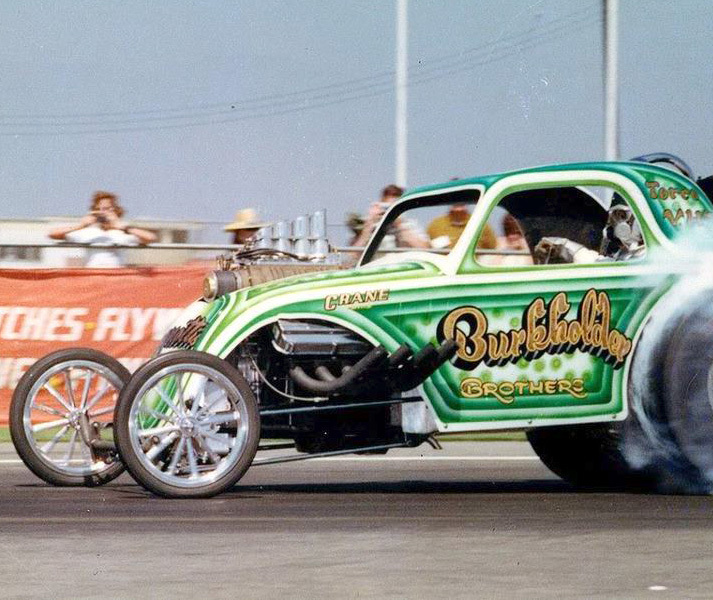 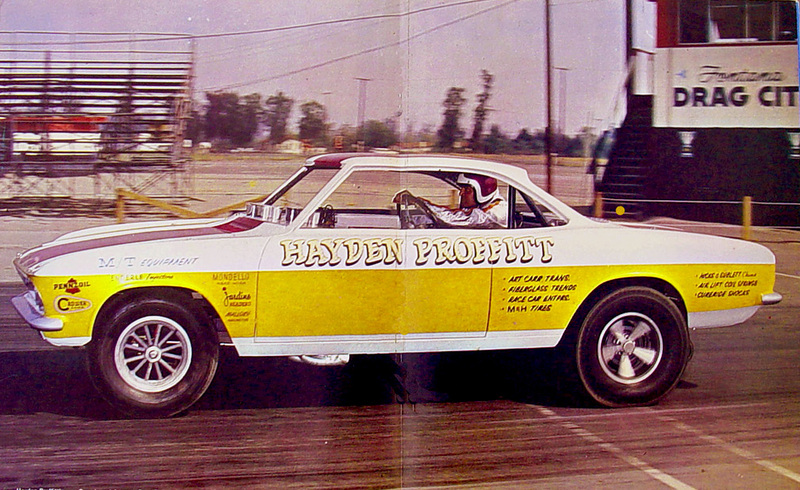 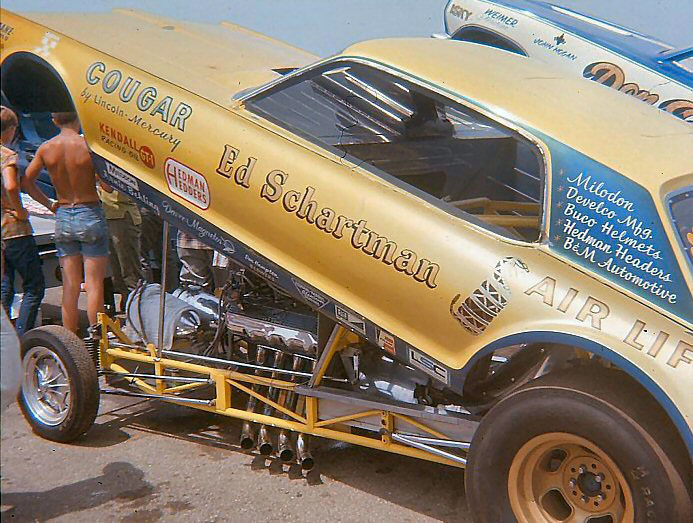 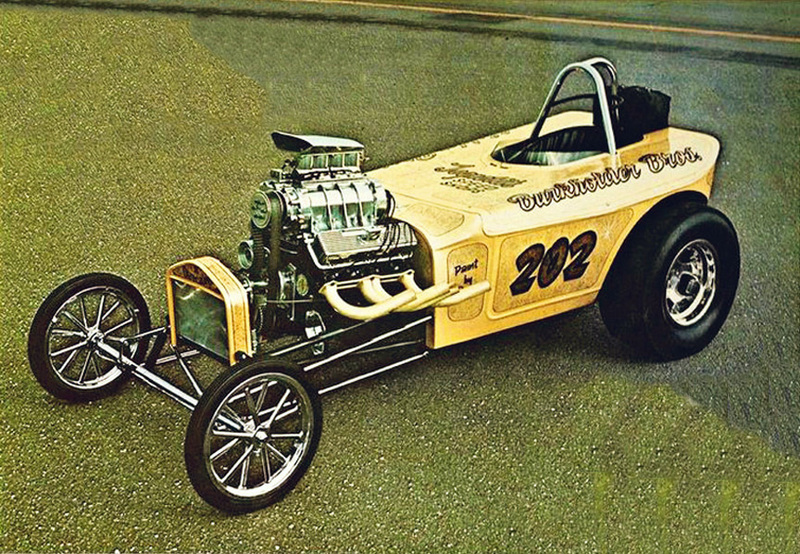 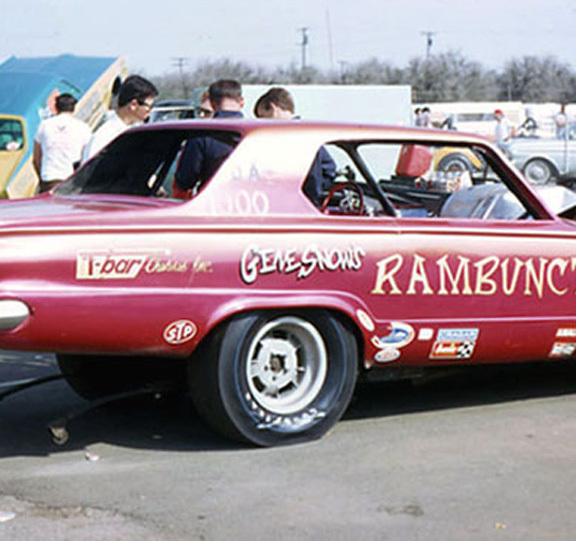 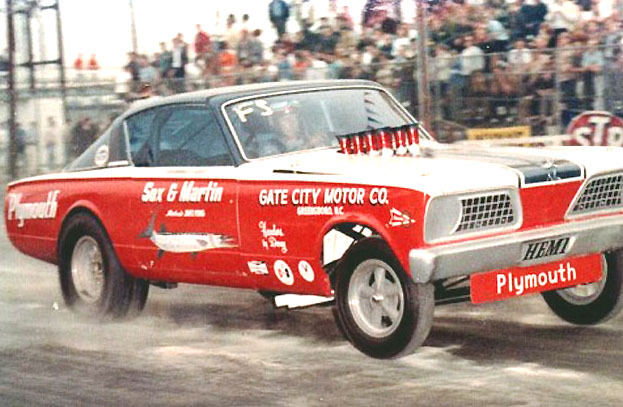 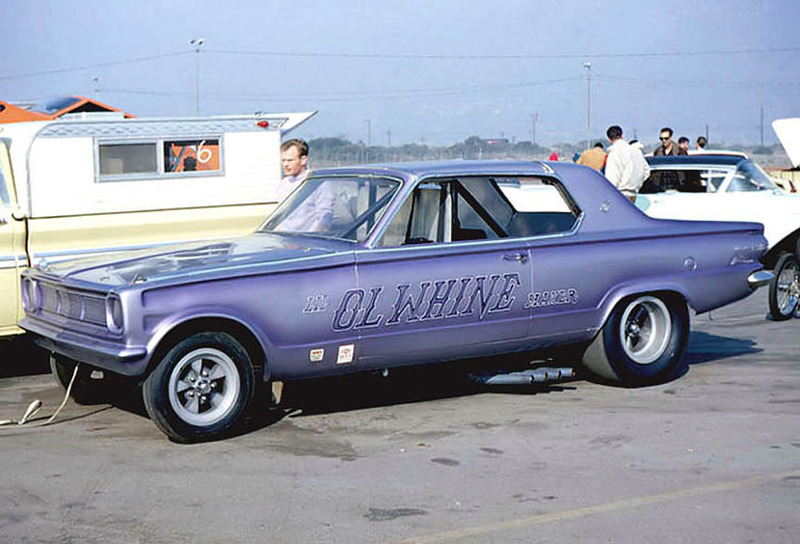 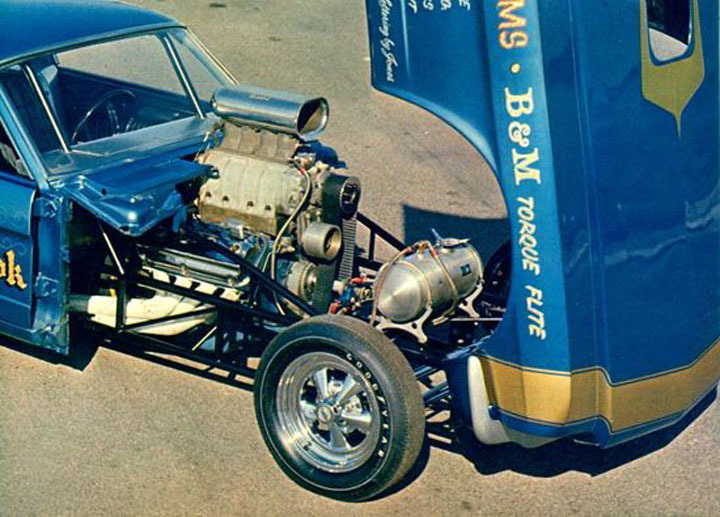 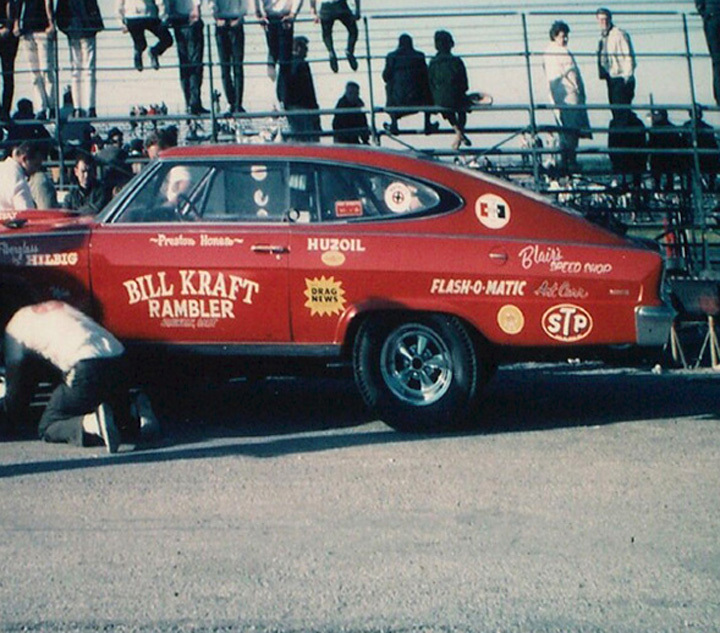 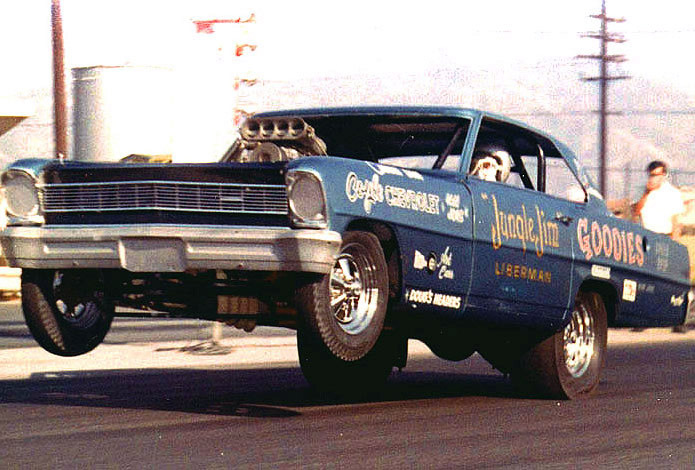 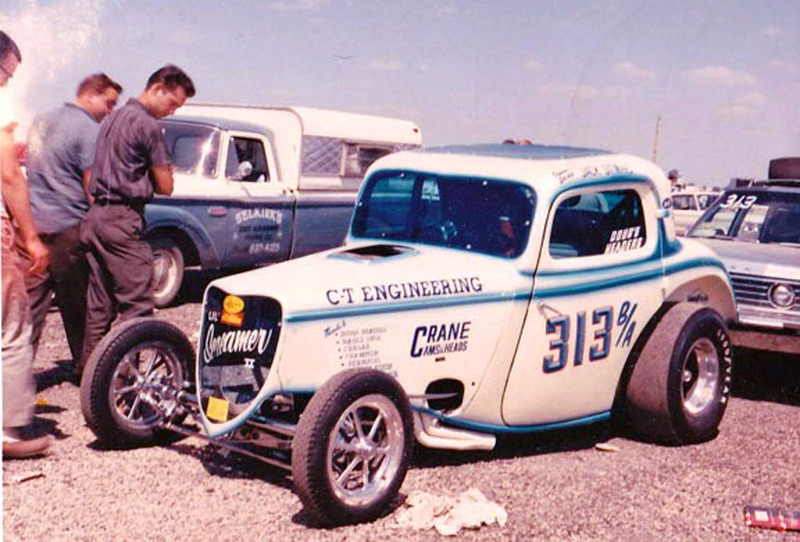 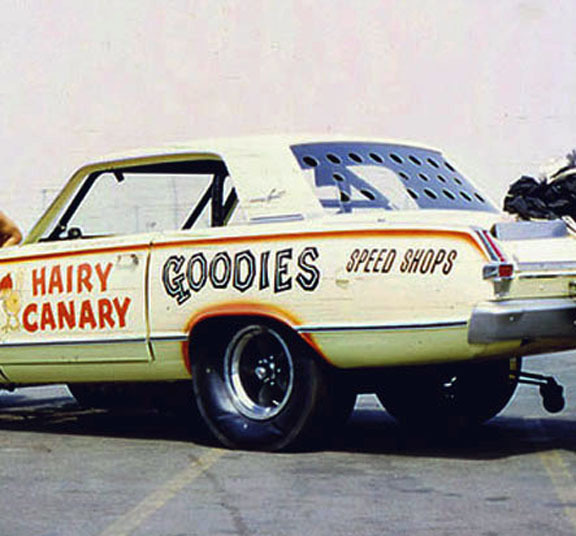 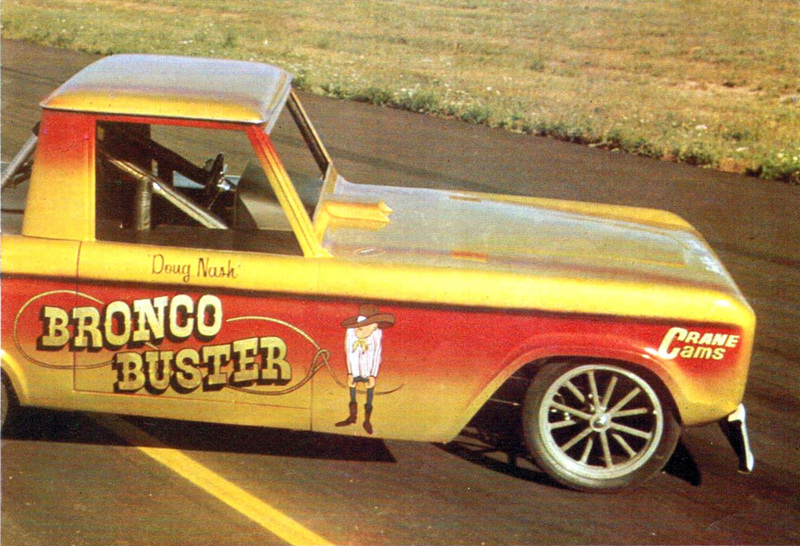 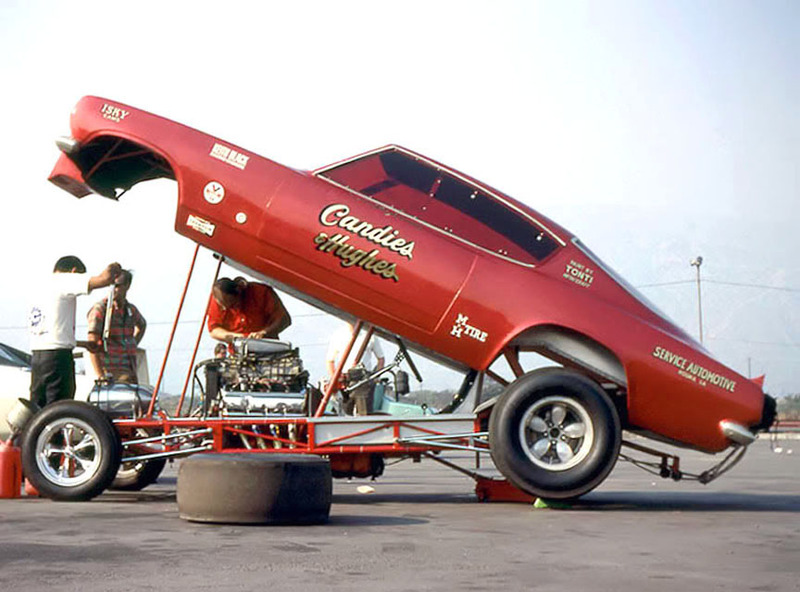 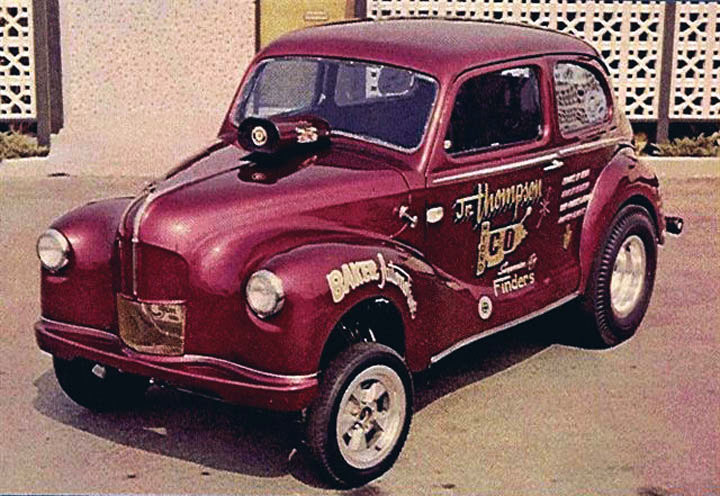 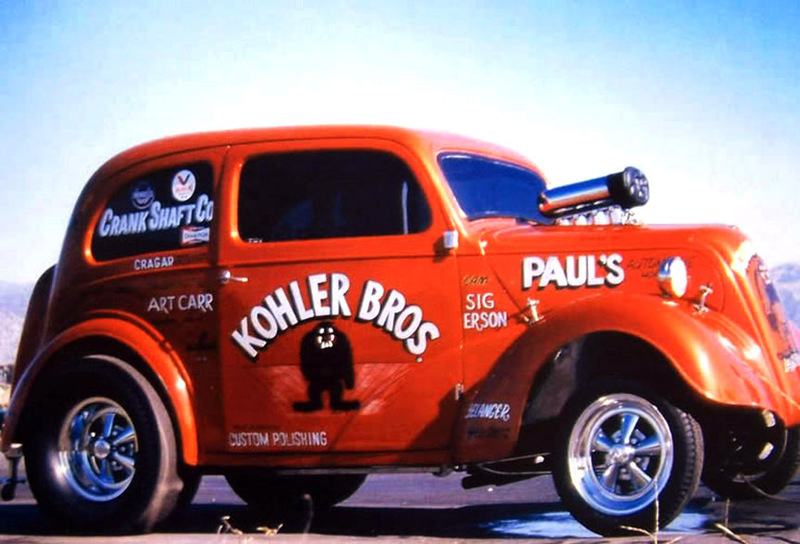 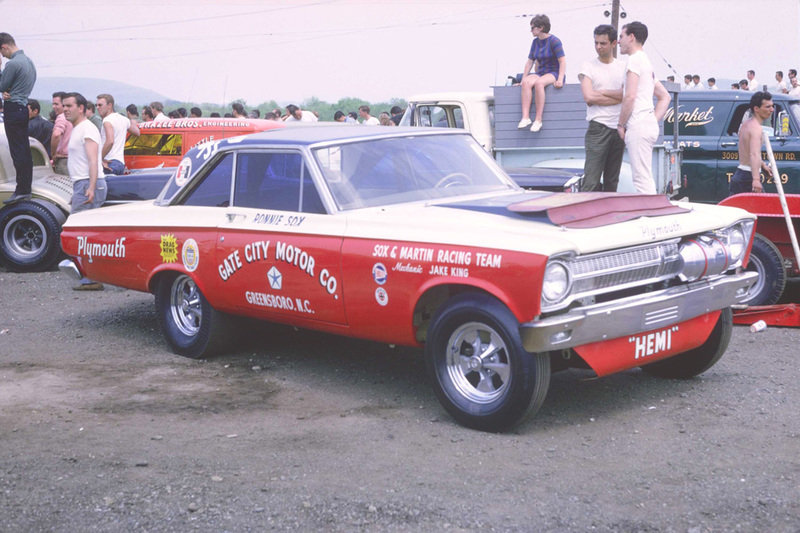 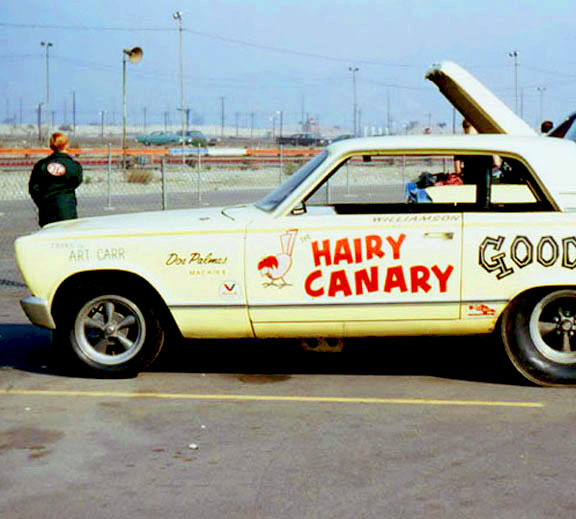 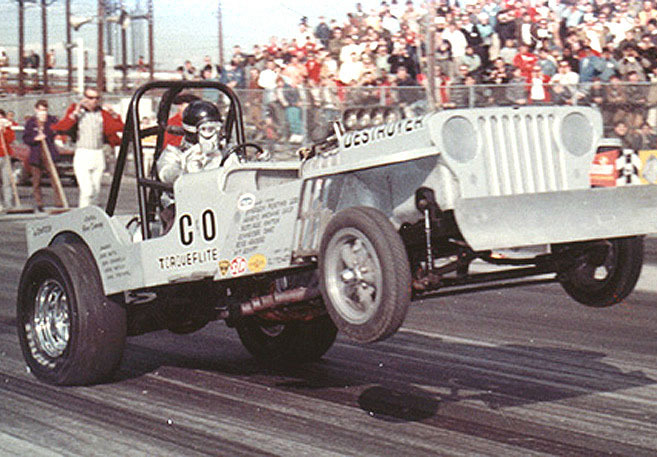 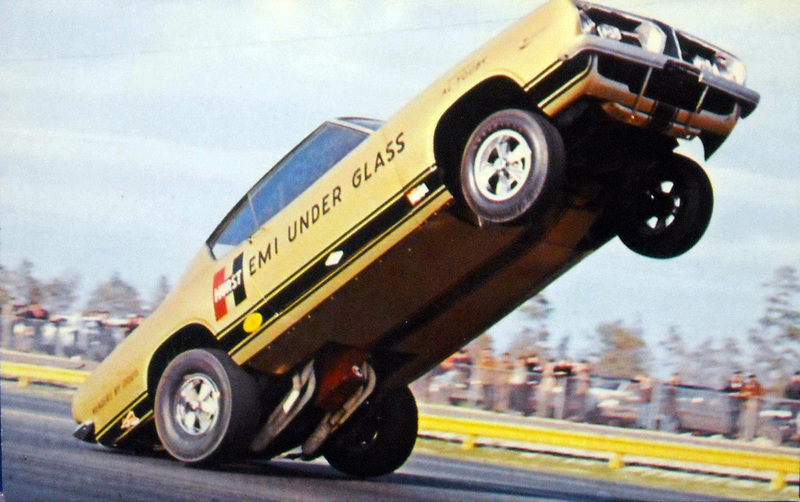 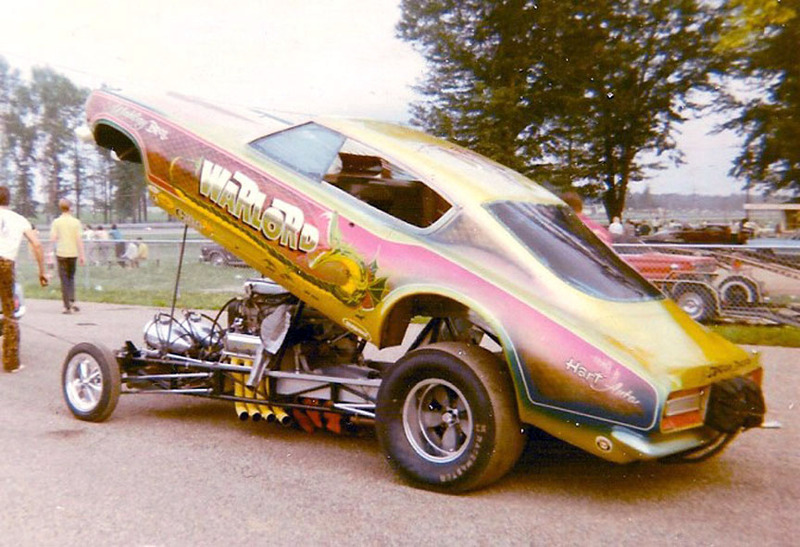 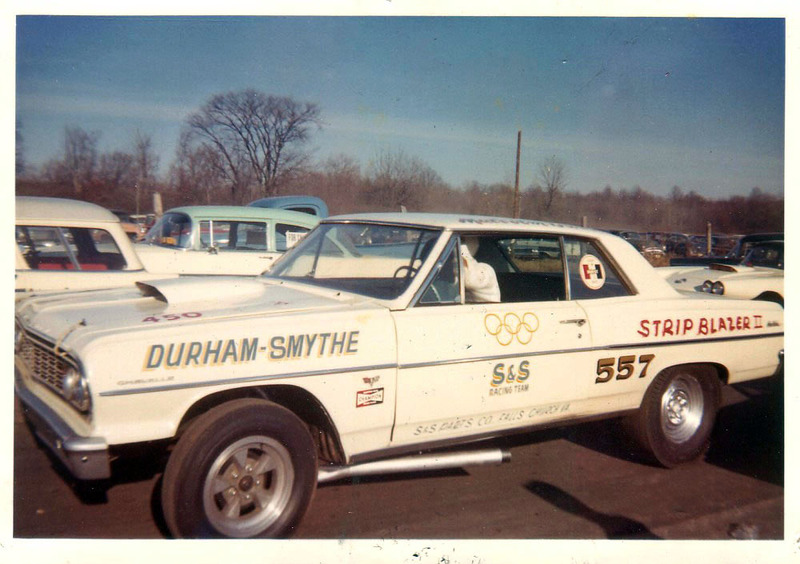 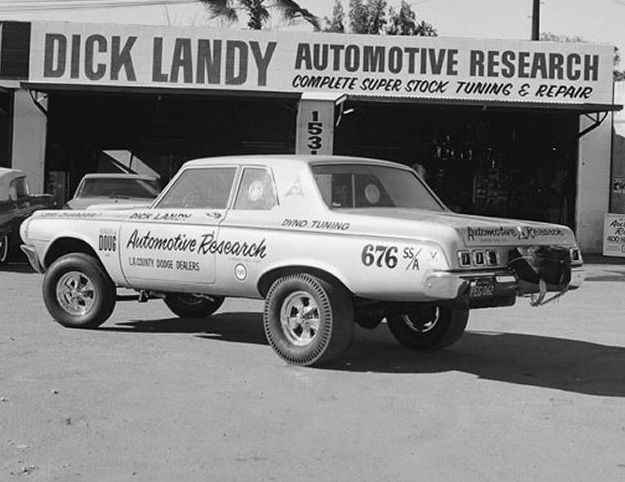 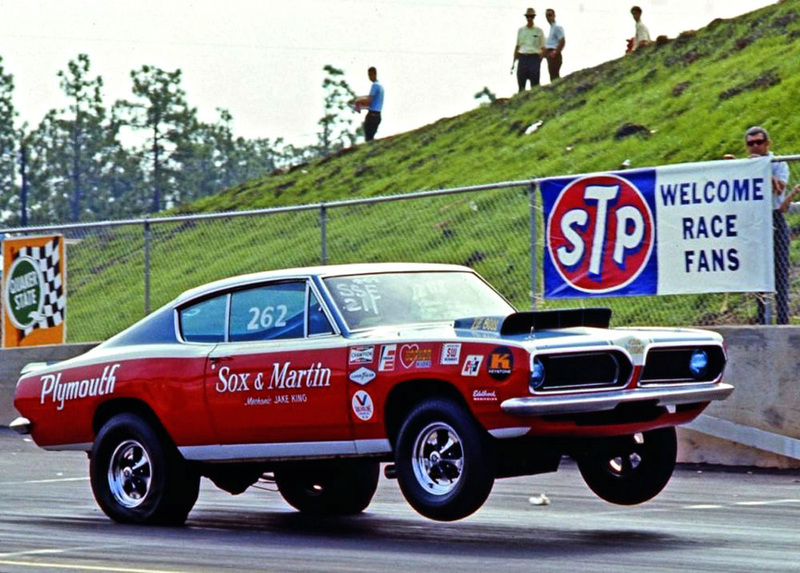 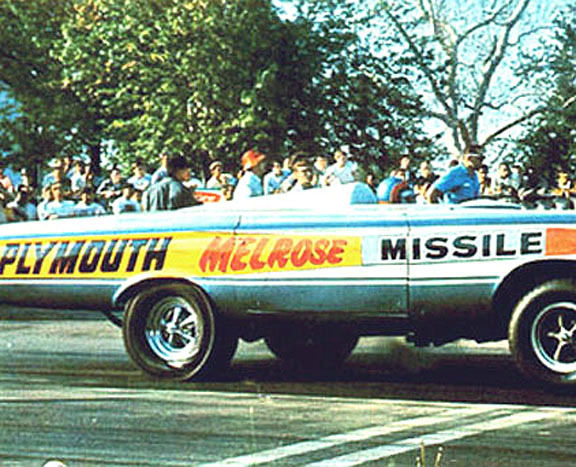 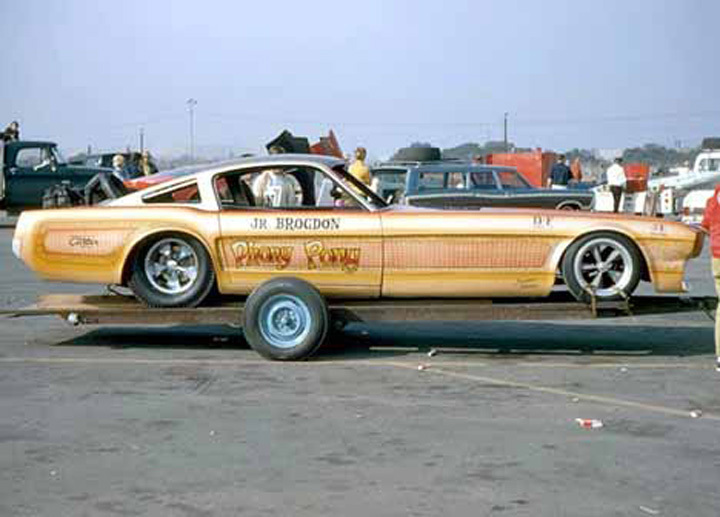 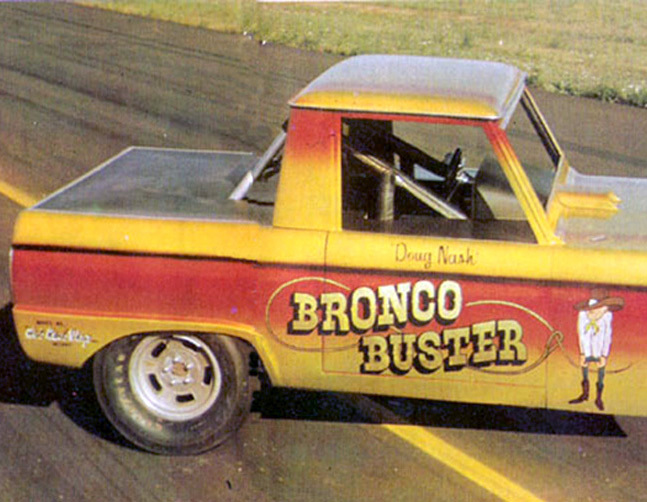 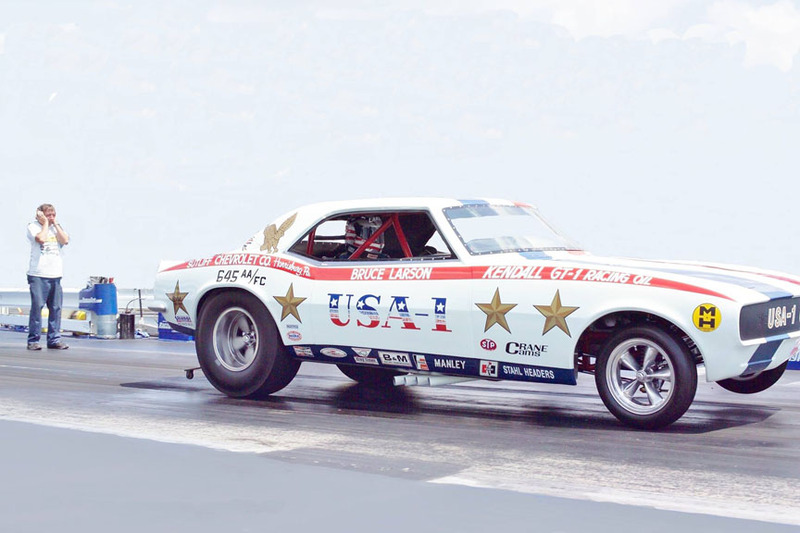 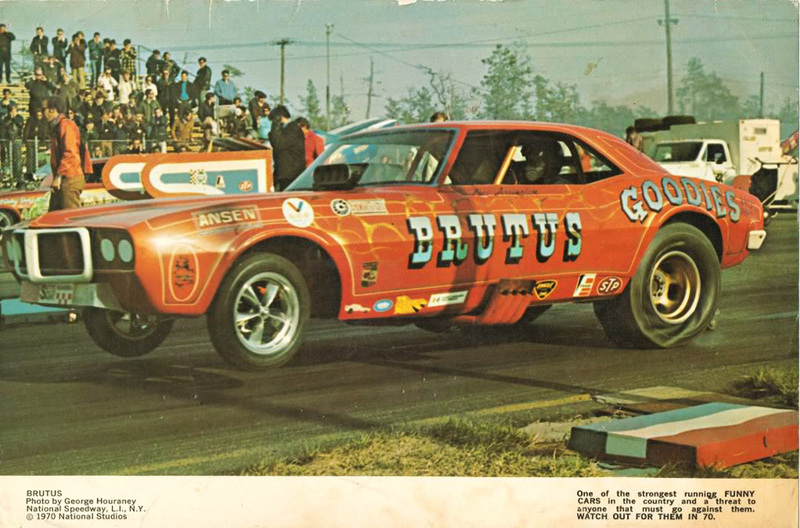 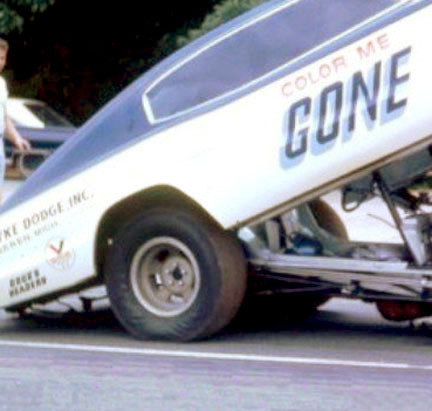 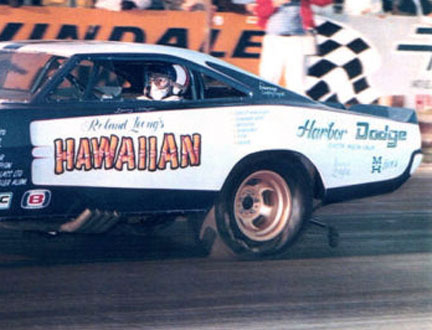 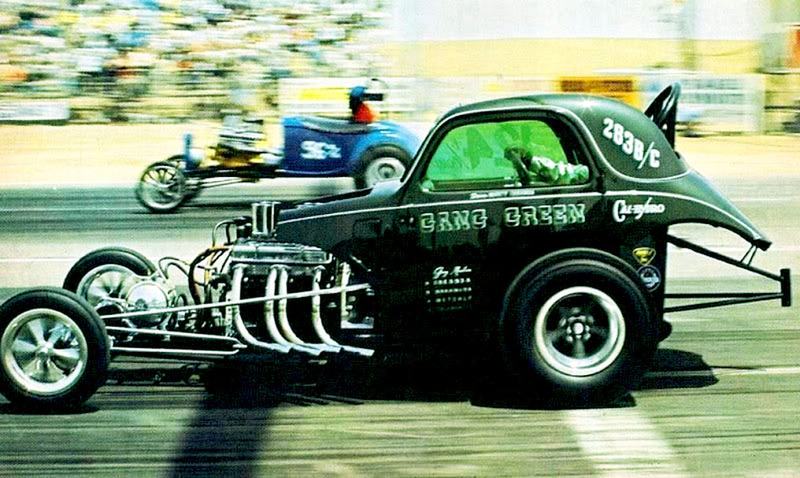 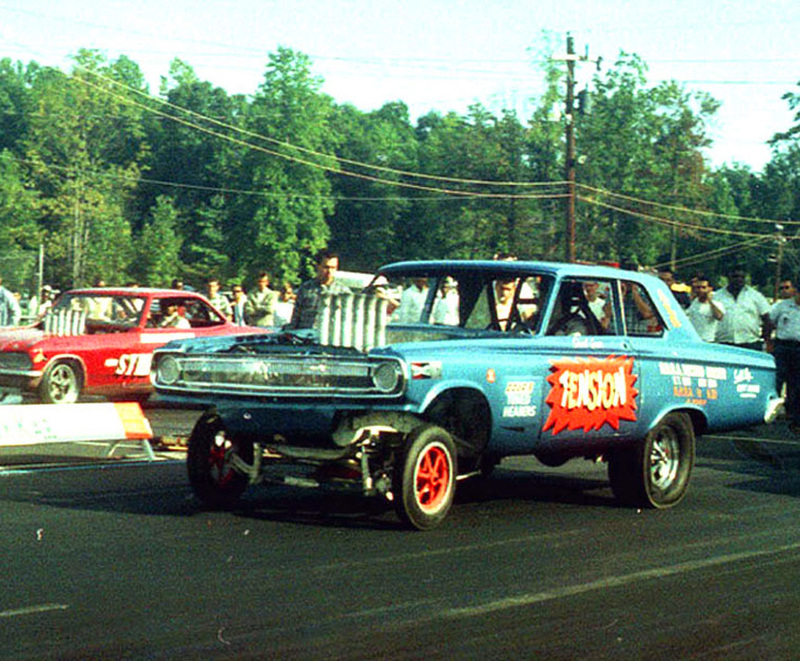 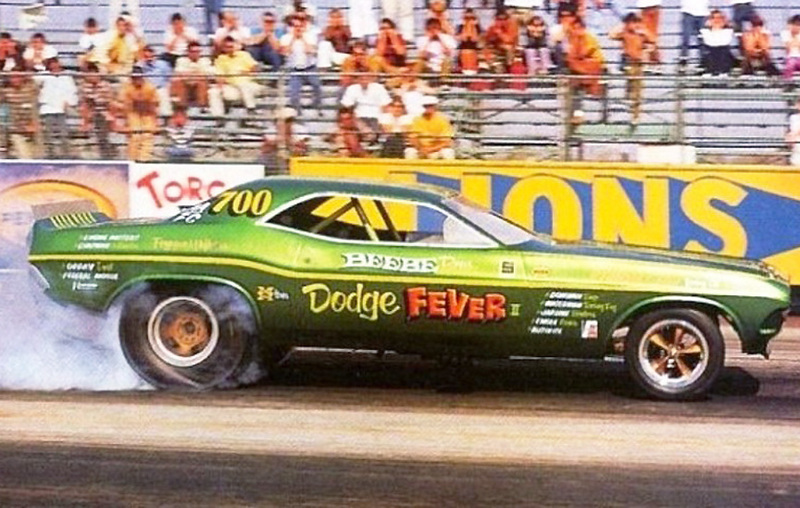 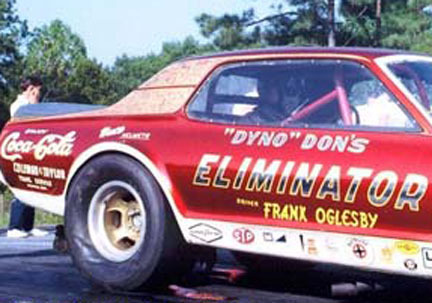 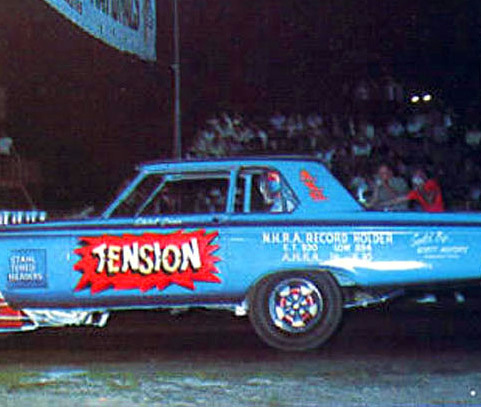 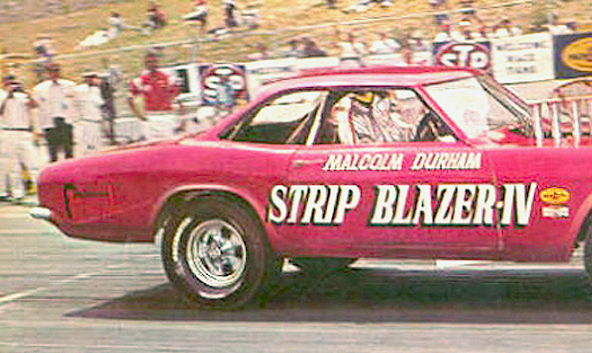 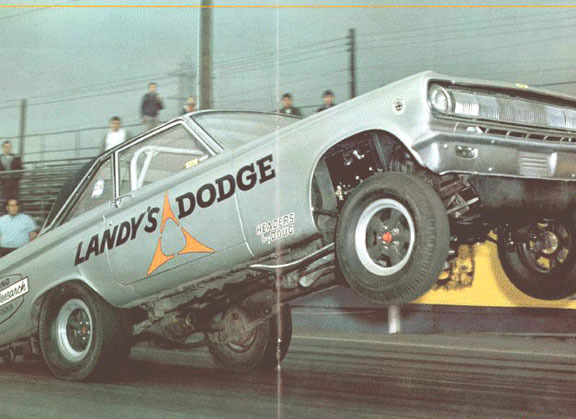 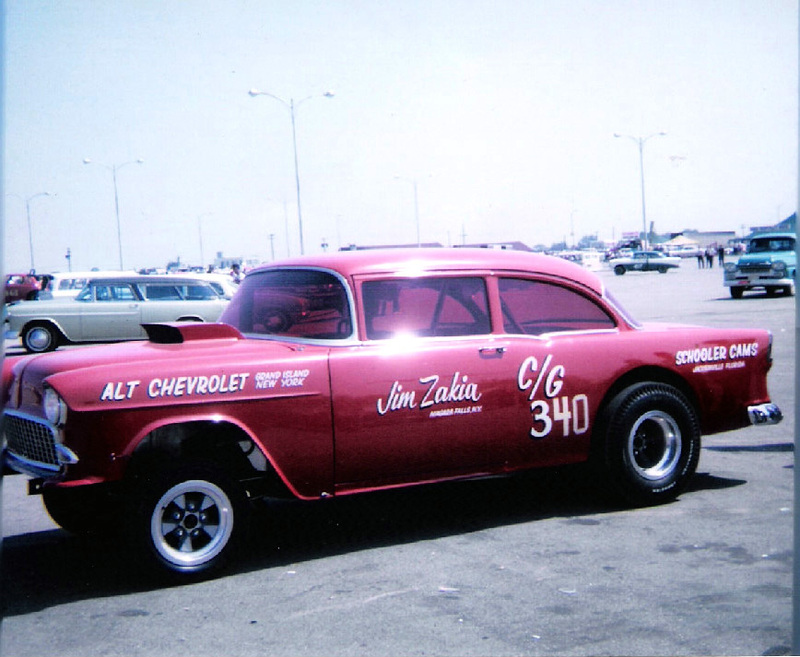 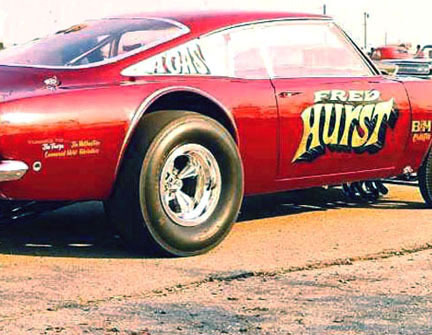 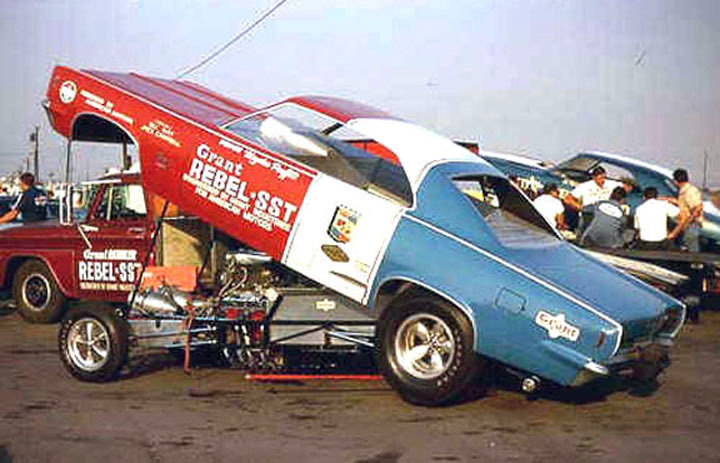 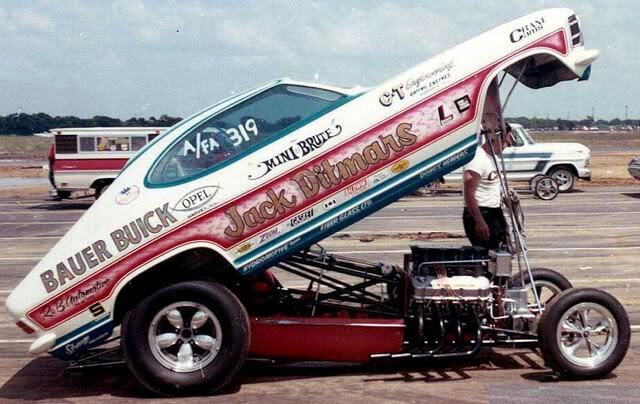 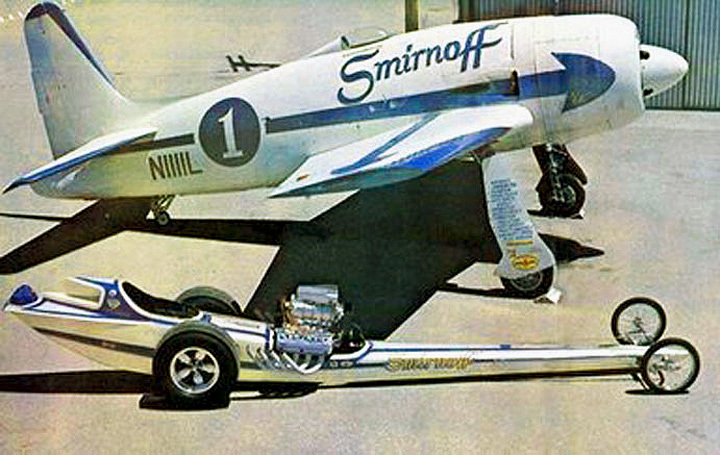 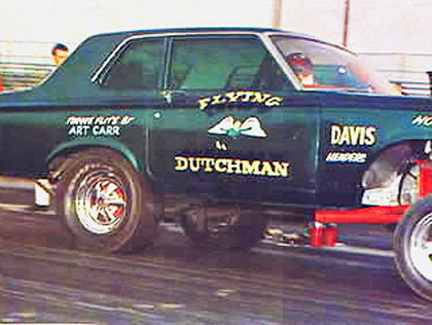 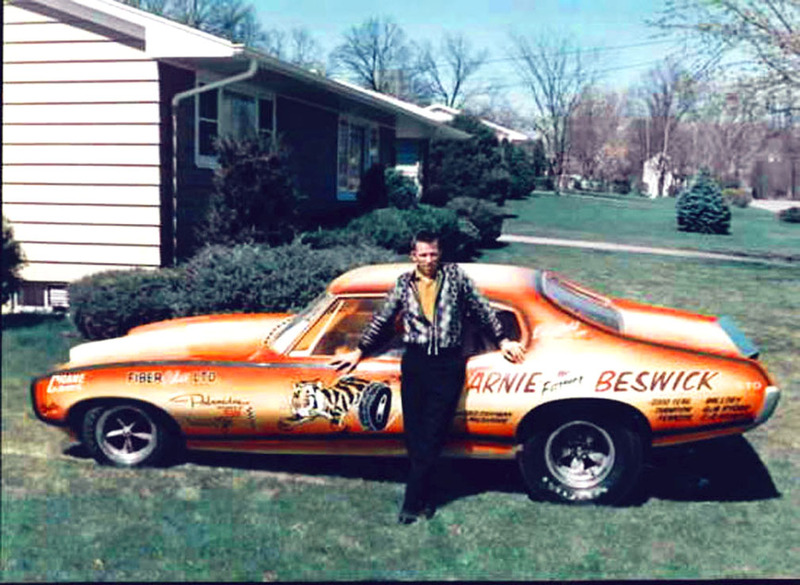 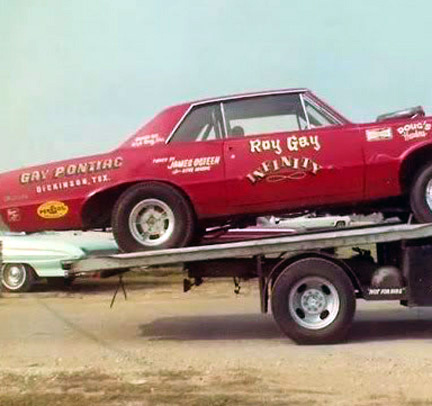 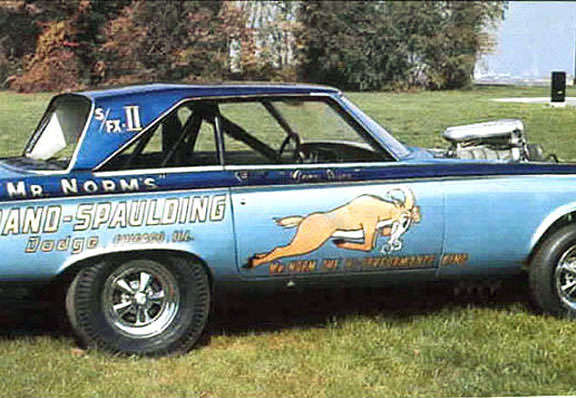 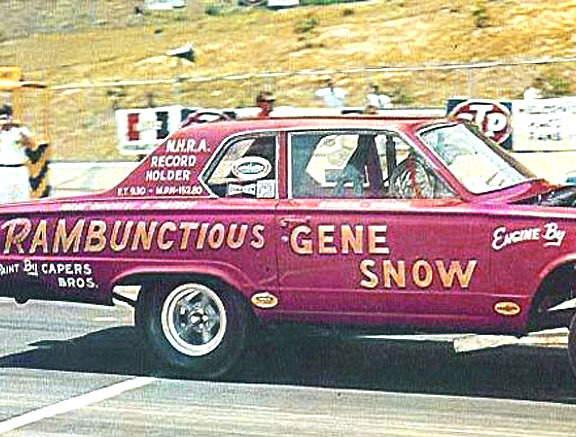 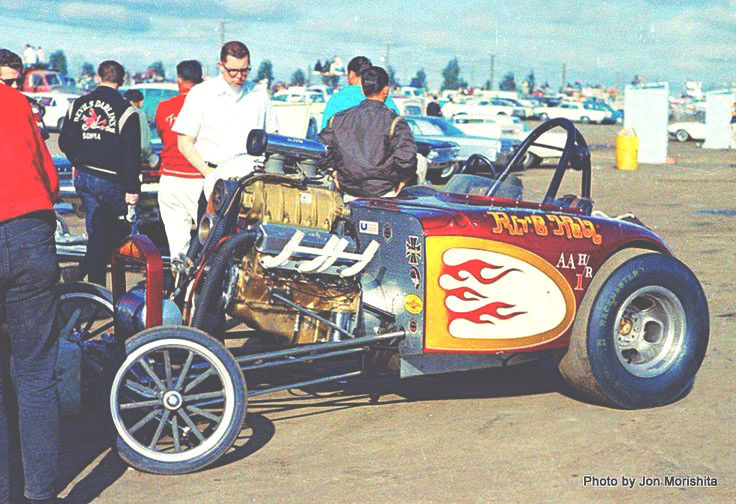 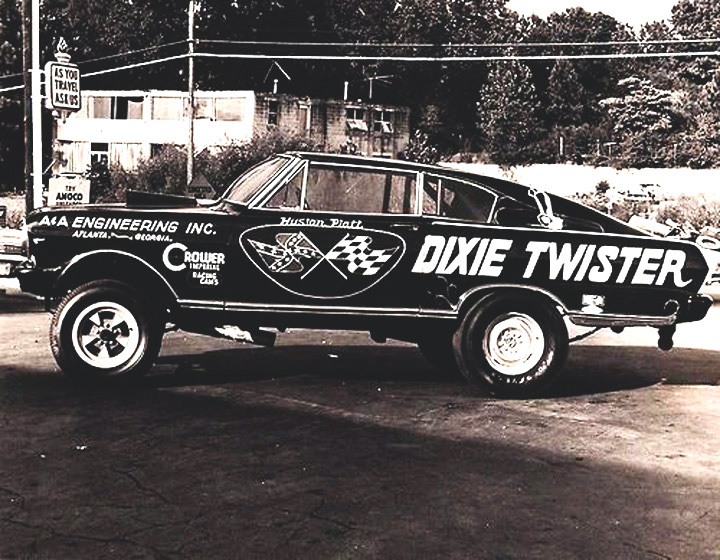 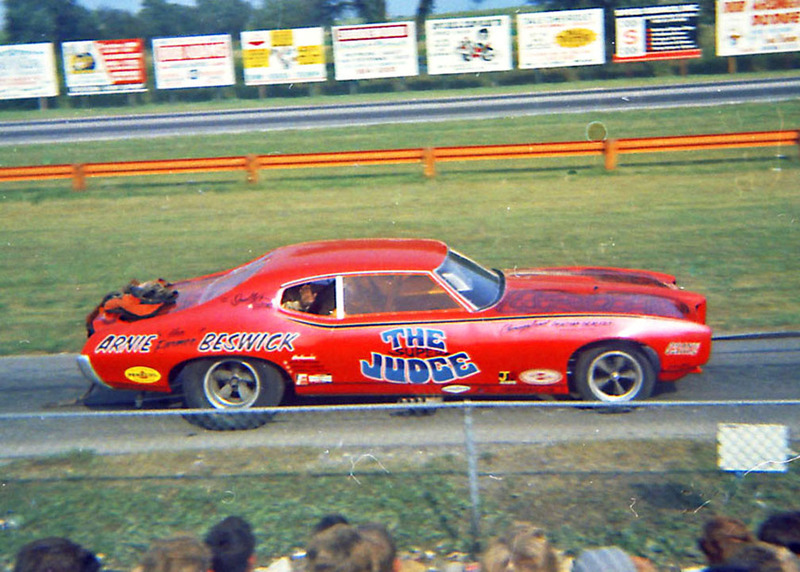 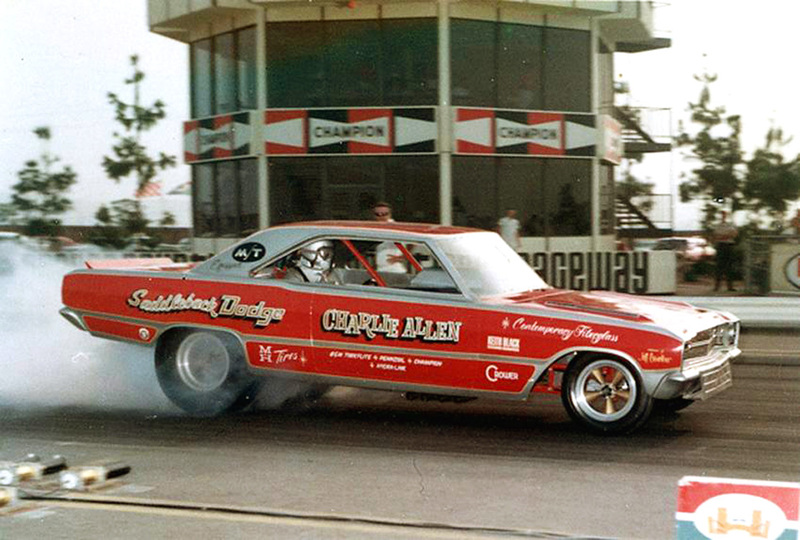 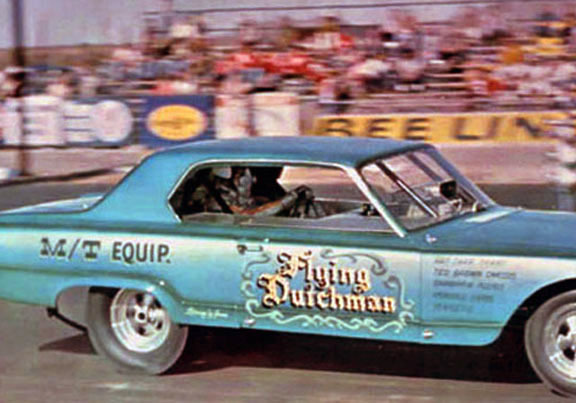 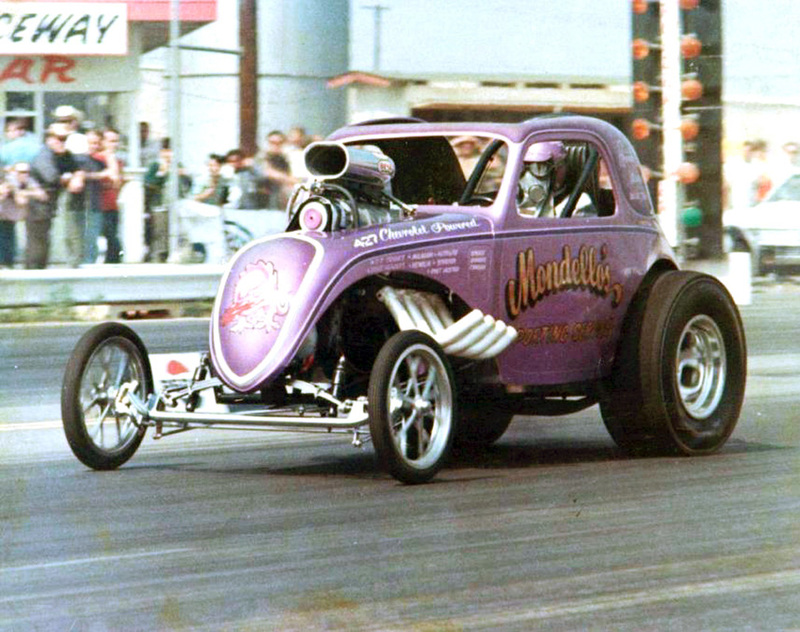 Period correct for 1968 and 70's style Gasser's, Altered's, Dragster's & Funny Cars. 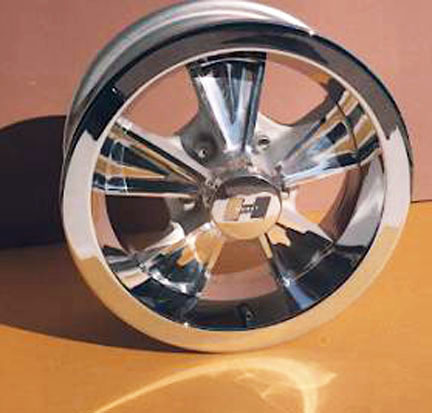 The only correct Reversed Halibrand Mag Wheels ever made. 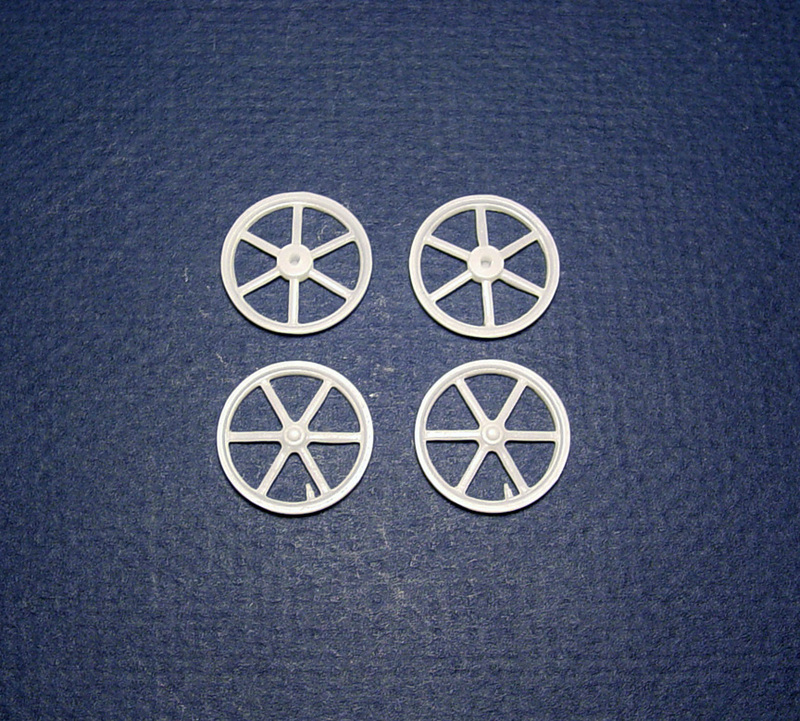 Will fit most standard size 1/25 slicks. 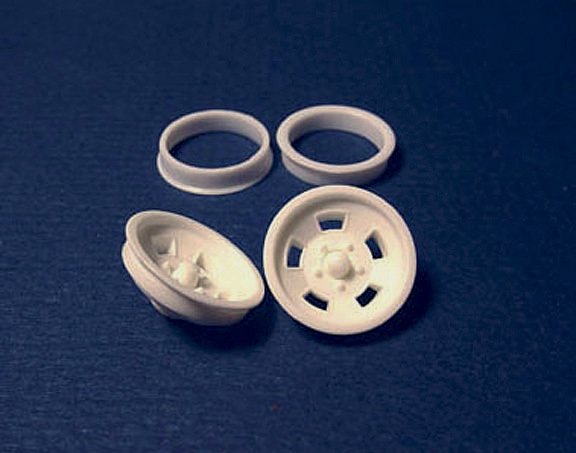 Use our Speed City *Deep Dish* or *Shallow Dish "INNER RIMS" for these mags, depending on what slick your using? 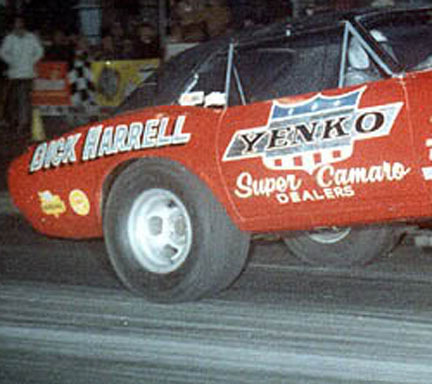 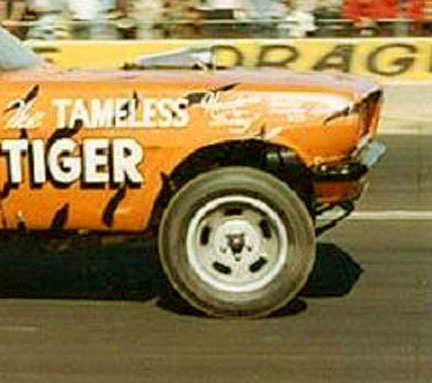 A very popular front wheel used in Drag Racing. 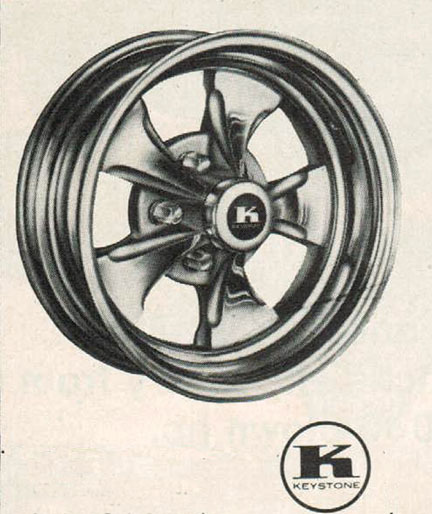 These Halibrands Mags were also used as a rear wheel too. 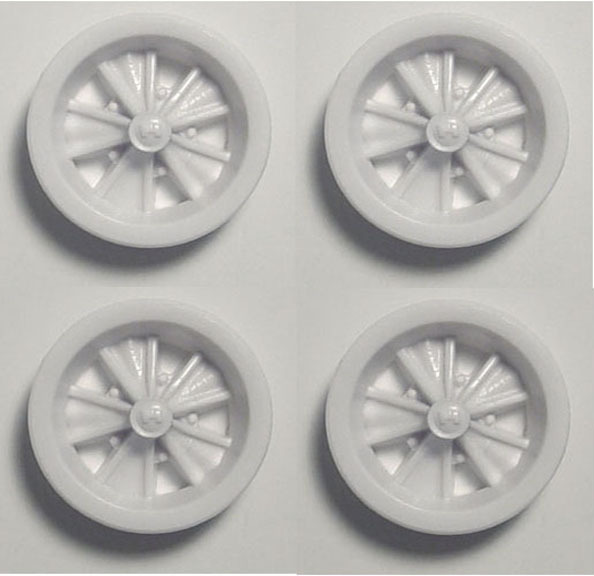 A great replacement for the MPC Funny Car Mag Wheels, Street Machine or Show Car. 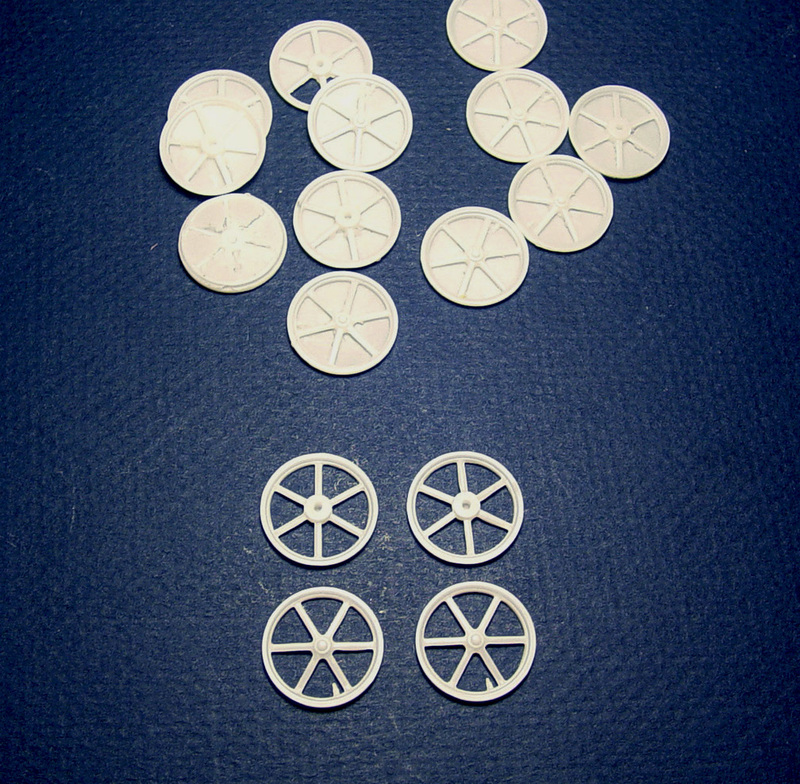 Updated with correct S/S Cragar Center Caps. 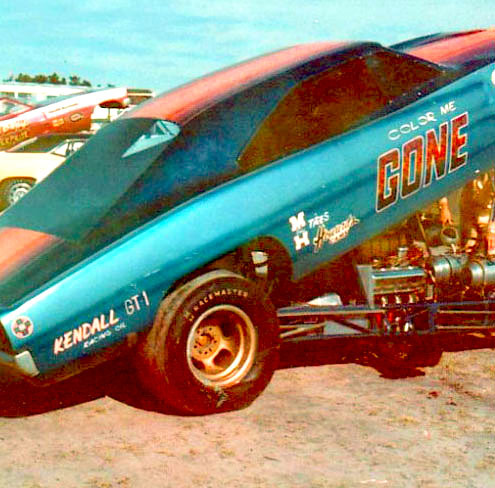 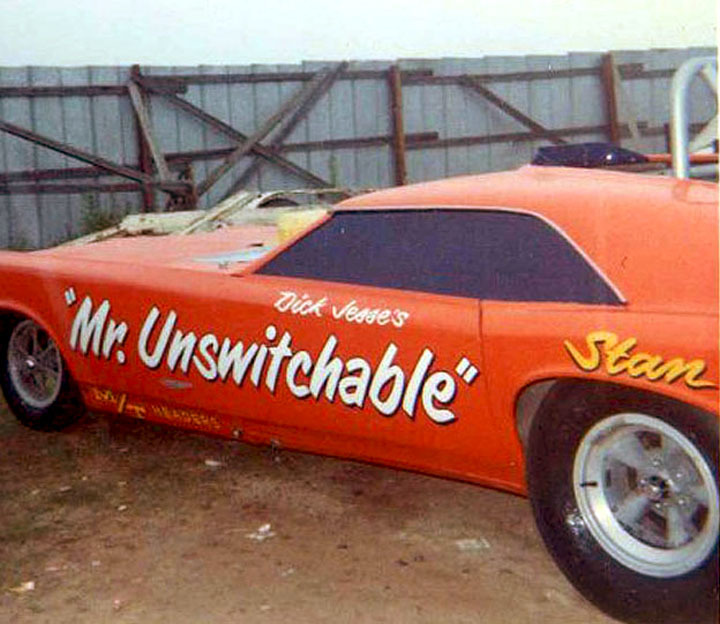 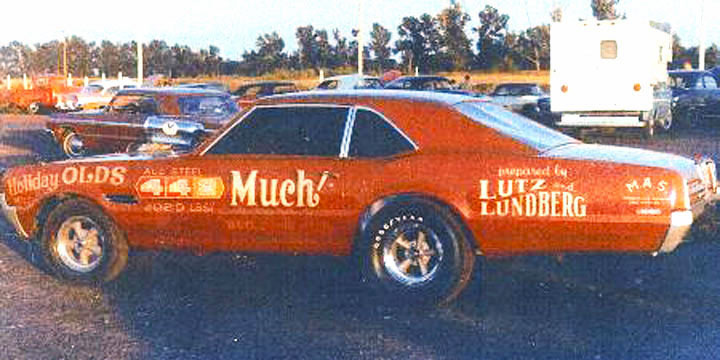 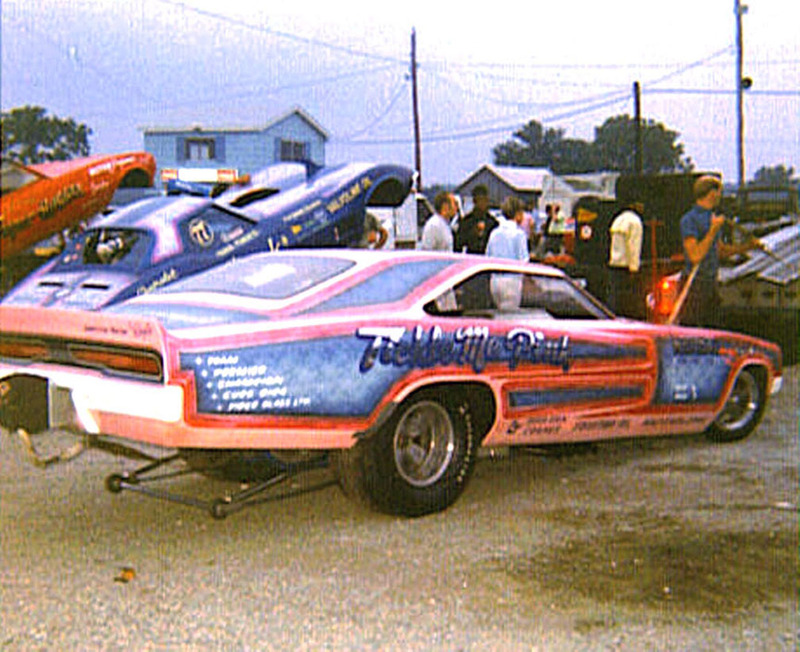 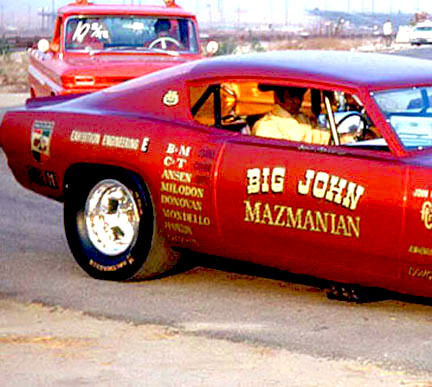 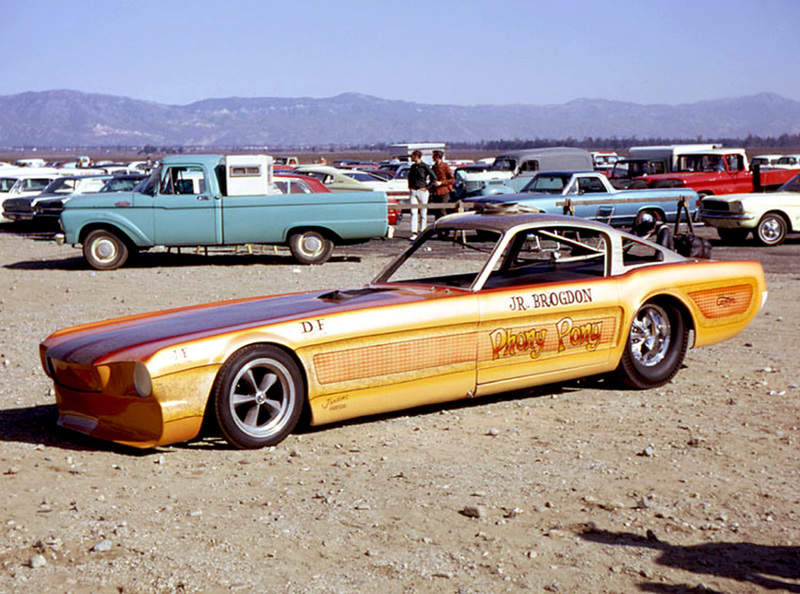 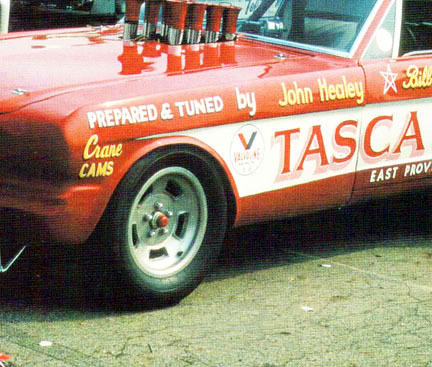 Some of the early funny cars, didn't run with Center Caps...... (so we made them separately). 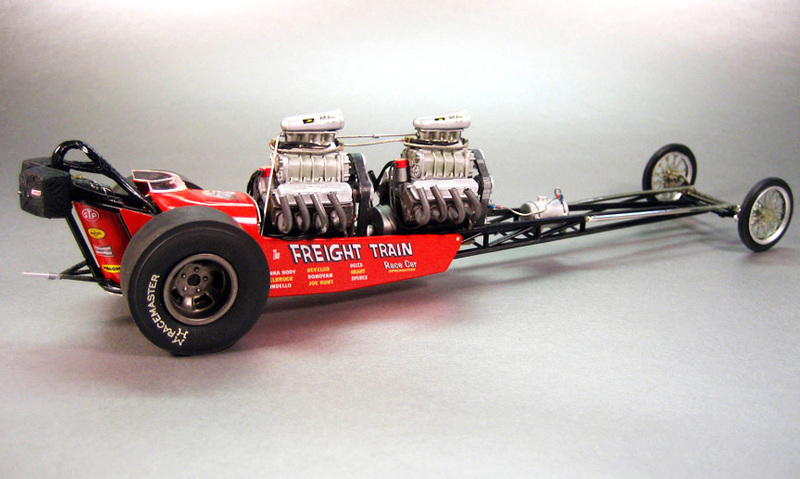 Will fit most standard size 1/25 slicks and tires. 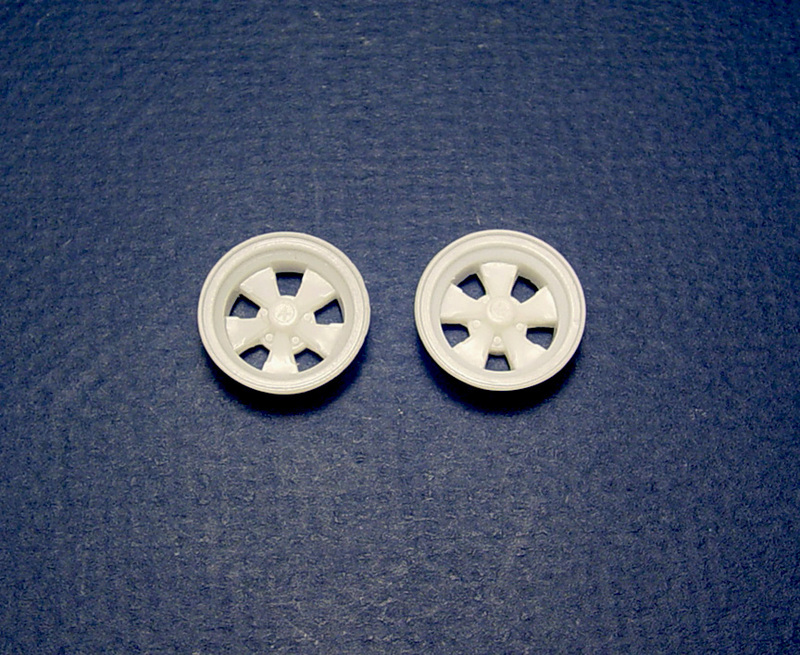 Use our Speed City *Deep Dish* or *Shallow Dish "INNER RIMS" for these mags, depending on what slick or tire your using? 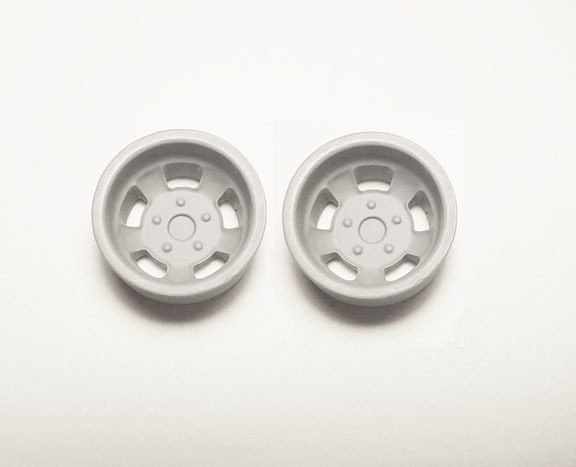 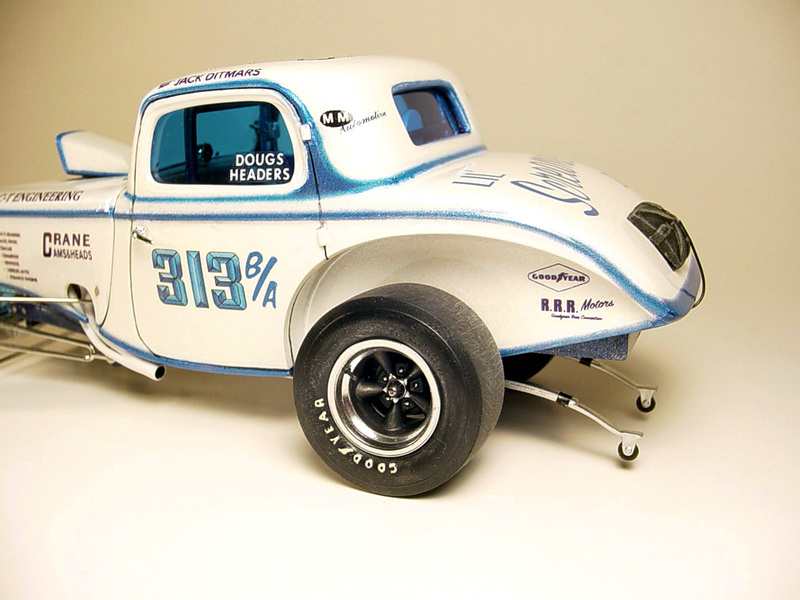 This is the first time "zero offset" Cragar Mag Wheels have ever been offered in 1/25 scale. 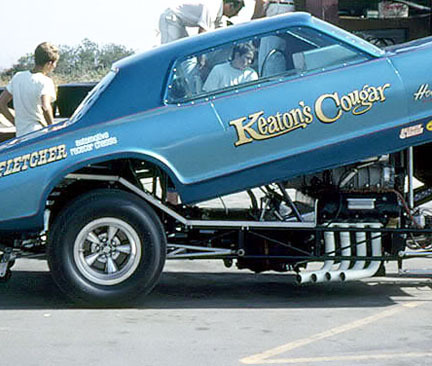 and looks more correct..... they also have a mounting stub for an axle. 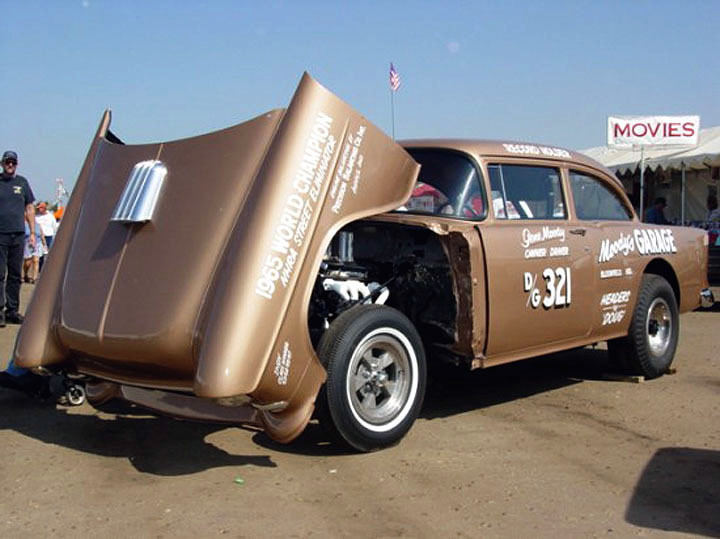 Perfect for vintage style Slicks and Muscle Car tires. 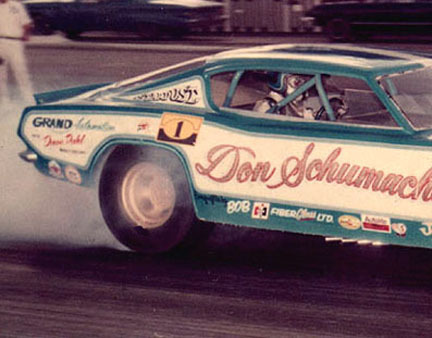 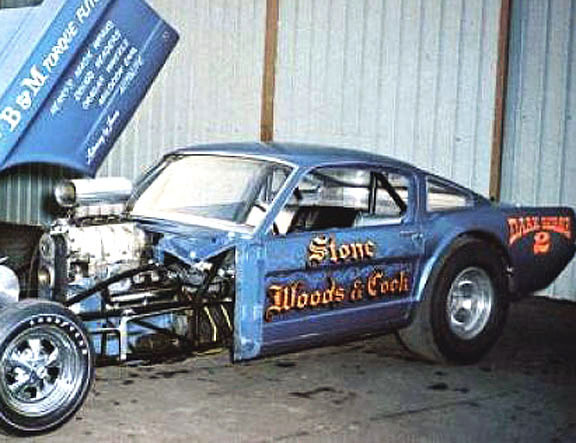 Building a Super Stock?.... 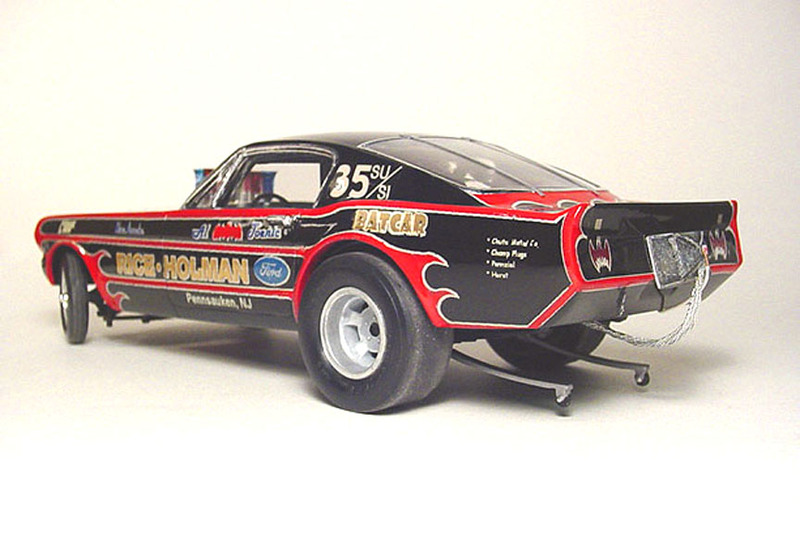 Check out our Firestone Drag 500 Slicks to fit these new Keystone mag wheels. 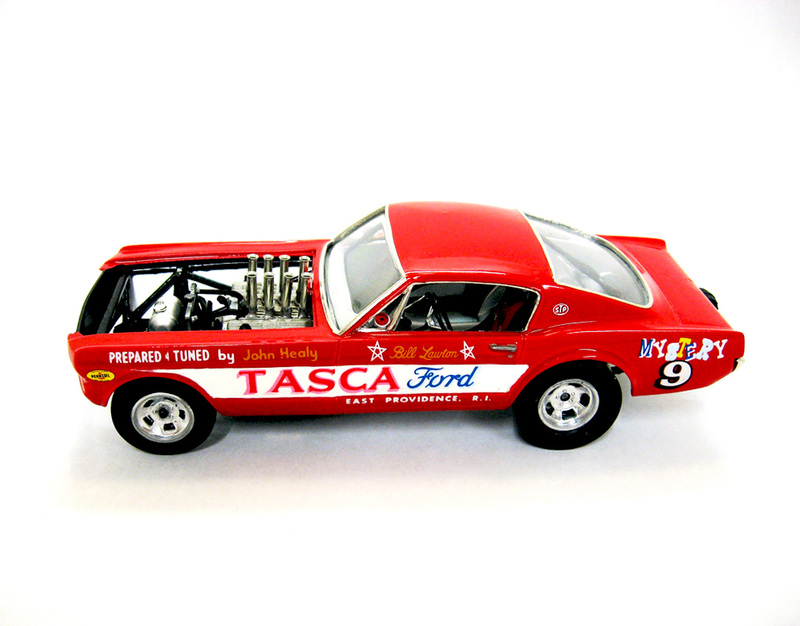 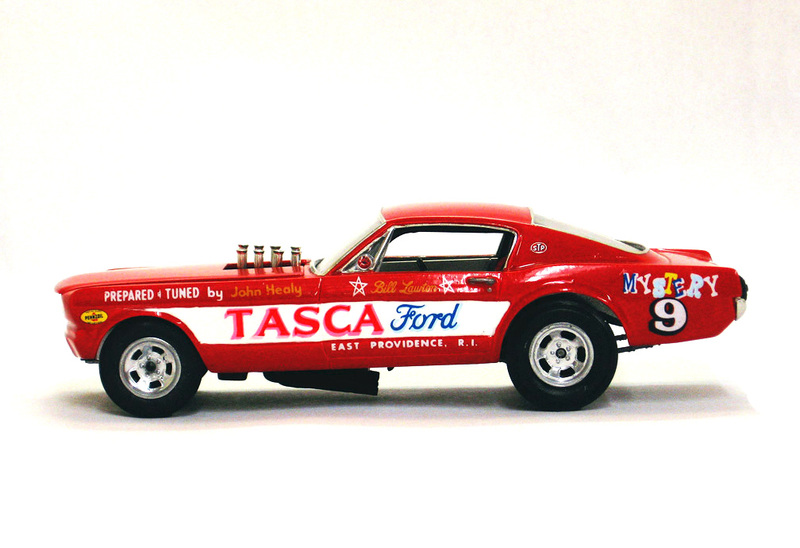 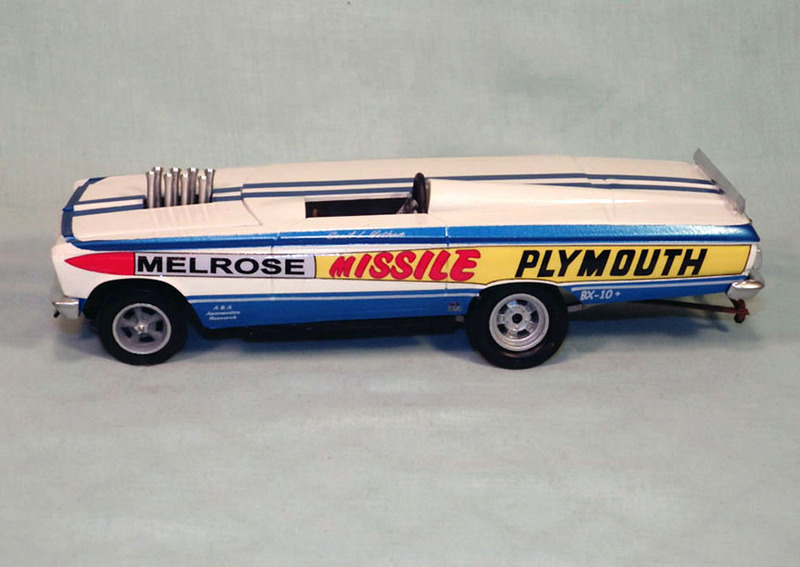 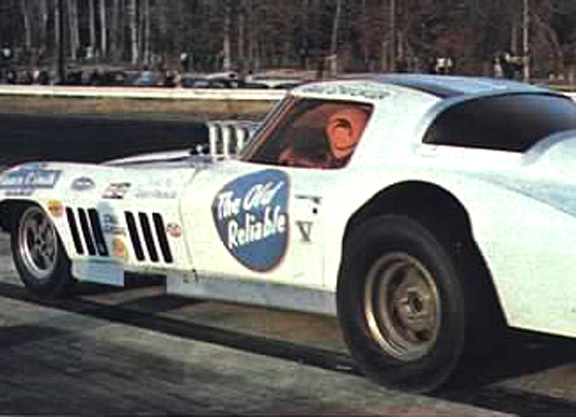 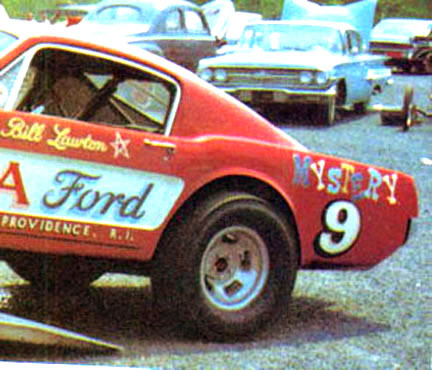 The Revell Ford Thunderbolt Keystone's are 16" and do not fit other standard 15" Slicks or Tires. 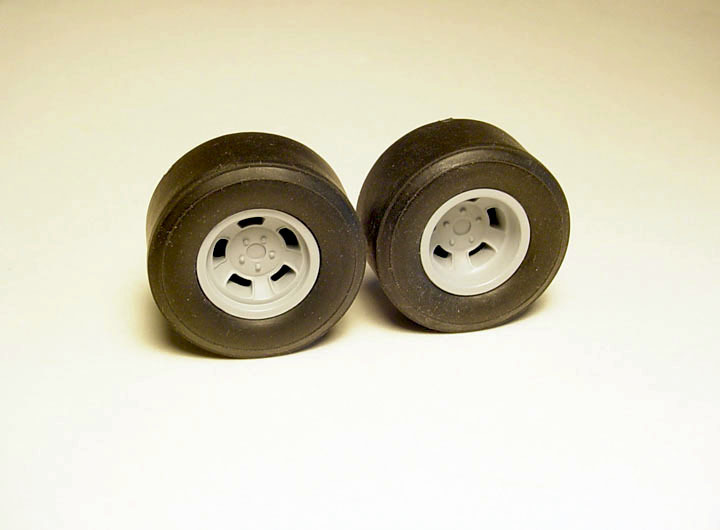 Our Keystone's are 15" (rim diameter) and gives us more opportunities to use on other Slicks and Tires. 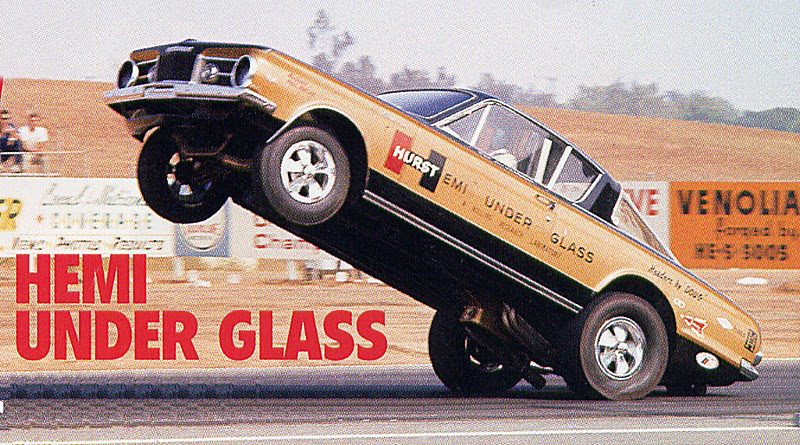 Re-cast from the original MPC 1968 Hemi Under Glass kit. 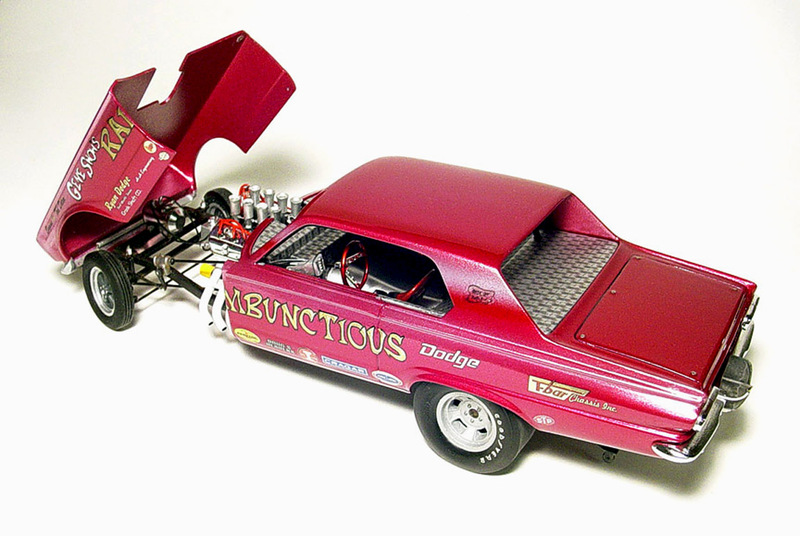 since it does not come with Hurst mag wheels. 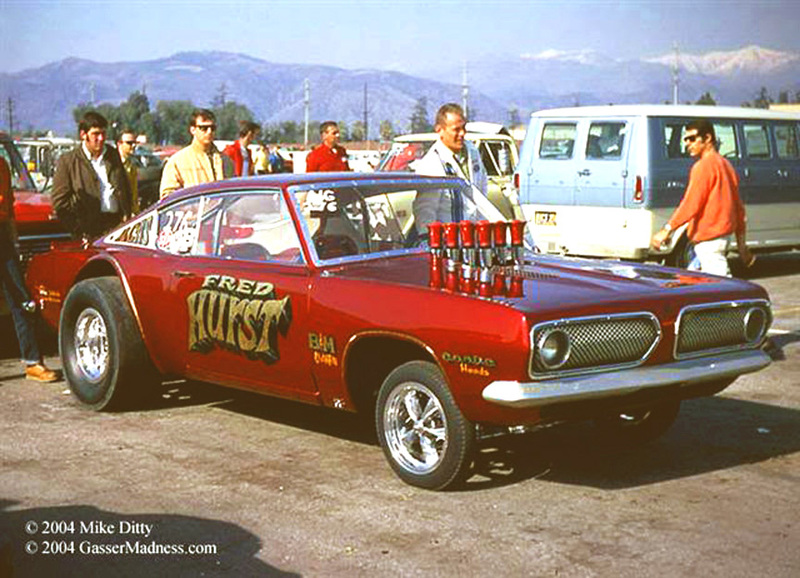 Note: Hurst mag wheels were all the same size (they never made a Big & Little). 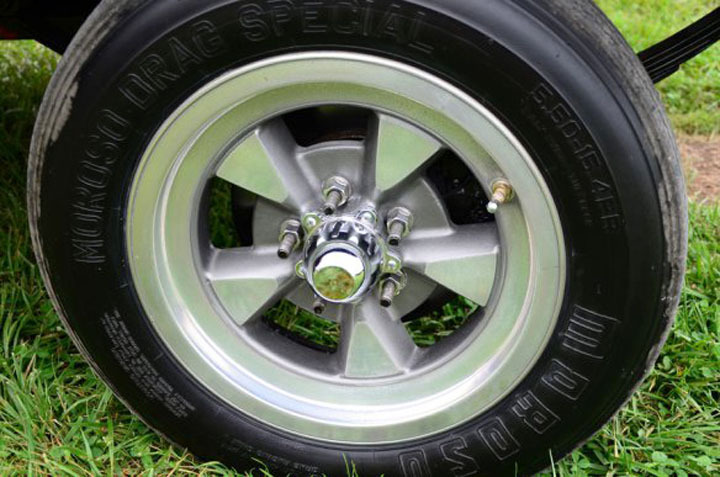 These shallower Inner Rims are made to fit a Deep Dish Mag Wheel ! 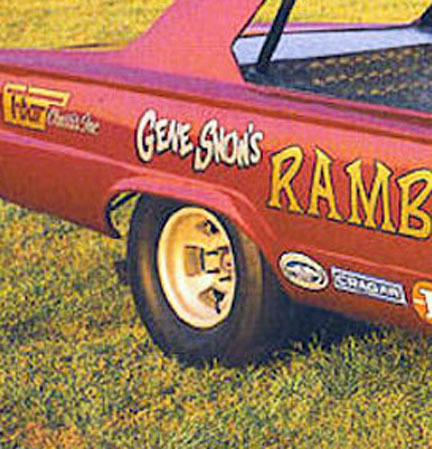 These Inner Rims are fairly universal and fit most standard 15" rim Stock Tires or basic 12:50" Slicks. 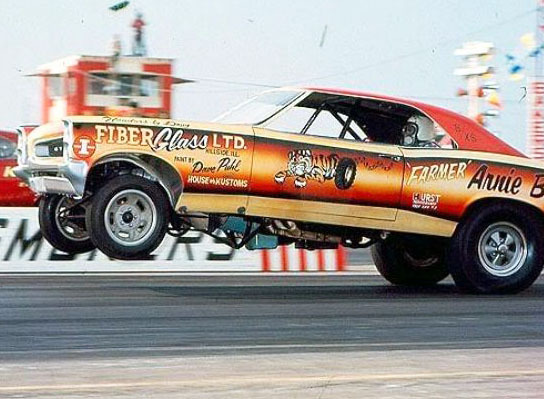 These can also be used on our 16" Drag Slicks ! 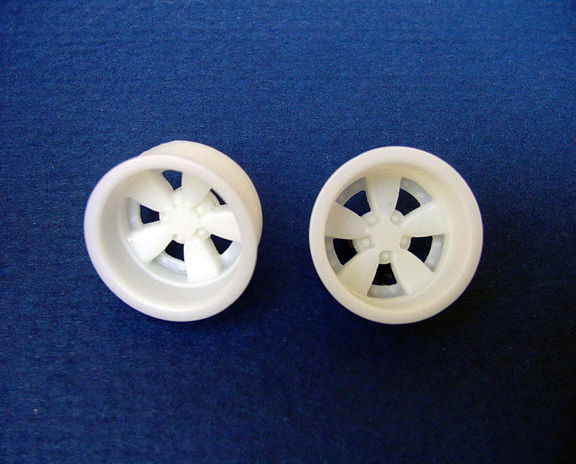 These deeper Inner Rims are made to fit a Shallow Dish Mag Wheel ! 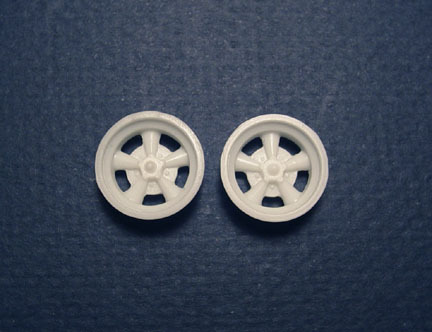 These Inner Rims are fairly universal and fit most standard 15" rim with basic 12:50" wide Slicks.